It took quite some time for the 20 bottles of Madeira to be equally poured into some 400 wine glasses. With each pour the room became incrementally more aromatic until everyone was collectively talking about the beautiful aromas. The doors to our private room were even shut at one point so as to infuse all of us. During this waiting period I was able to meet the other attendees. 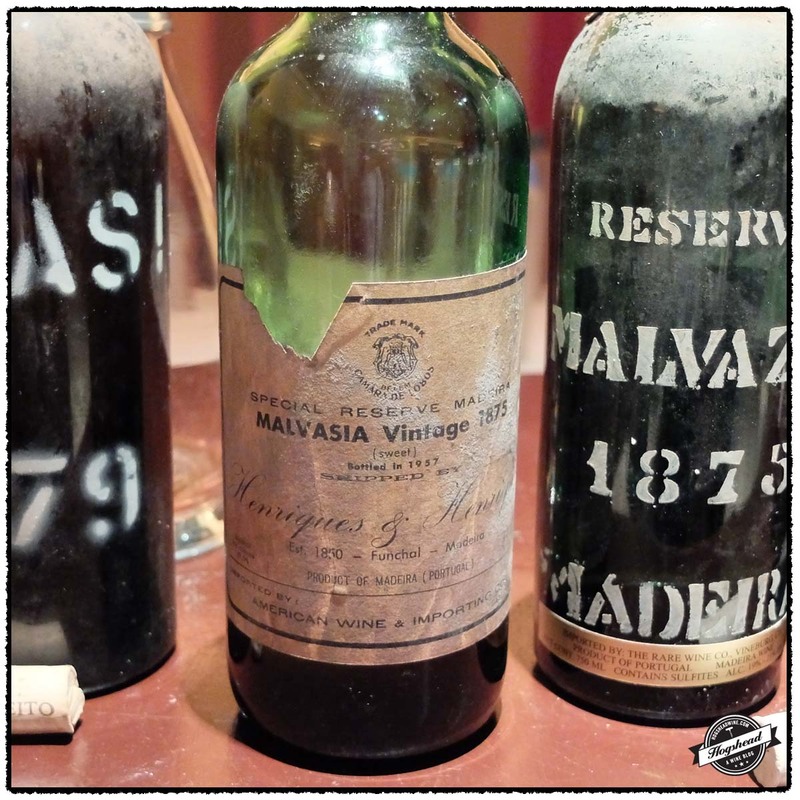 While there were mostly new introductions, there were a few people I had read about passionate Madeira lovers whose names are synonymous with old Madeira. The day’s festivities did not end with the Malvasia tasting. Dinner was to be held after the tasting in the private room next to ours. We were all asked to bring a bottle or two. What had not already been shipped was being collected then staged in the dining room. Several others took a peek at the other wines and returned excited. 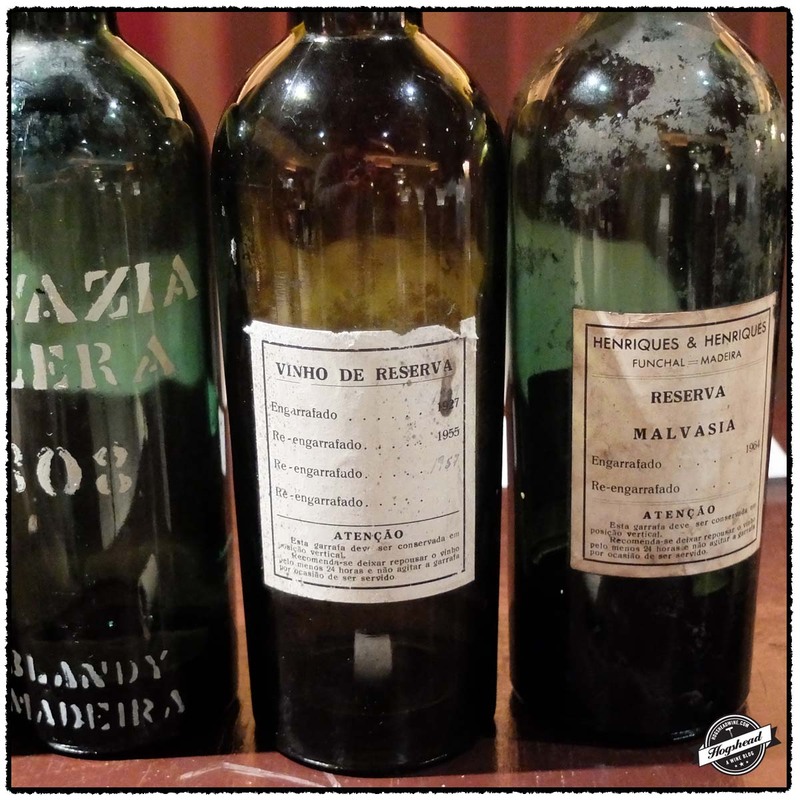 Curious as to what could be exciting compared to 20 bottles of very old Madeira, I entered the dining room. There on two spot lit tables stood bottles and magnums encompassing old vintages of European wine. 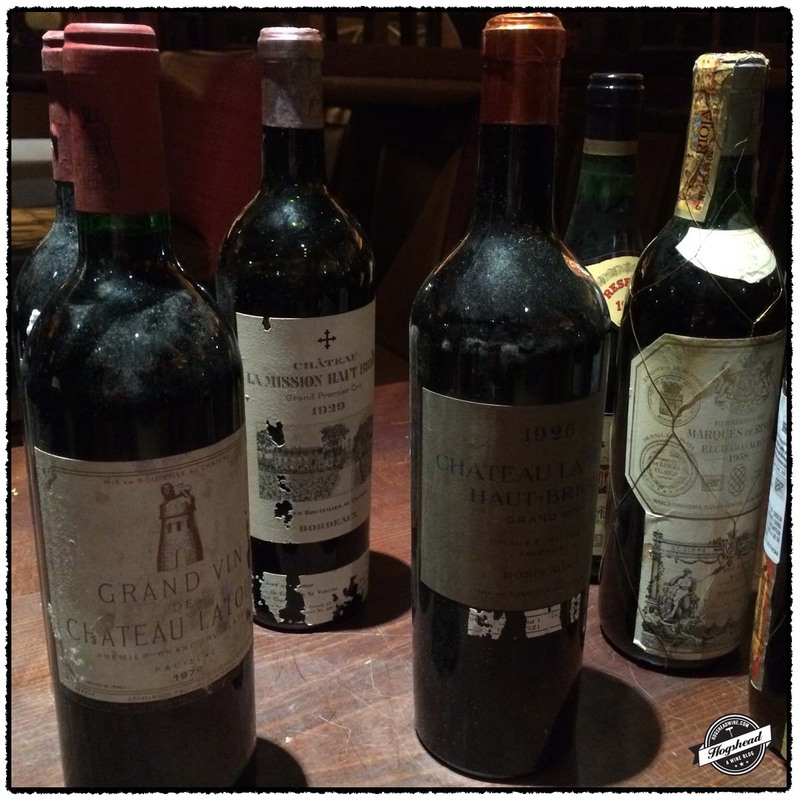 It was a cache of vinous treasure. 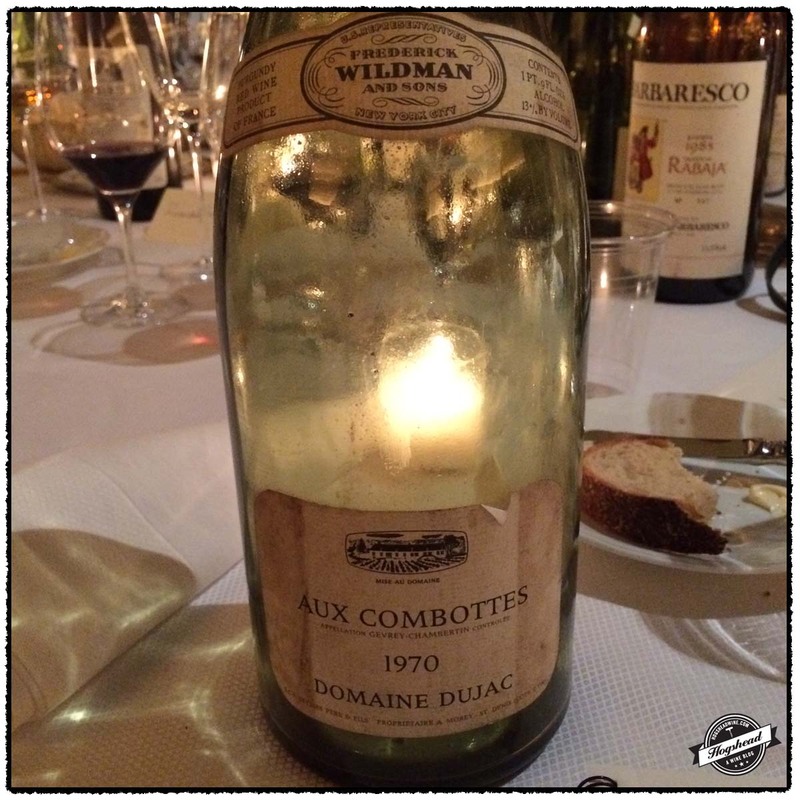 I was rather stunned to see magnums of Burgundy such as 1970 Domaine Dujac, Aux Combottes. 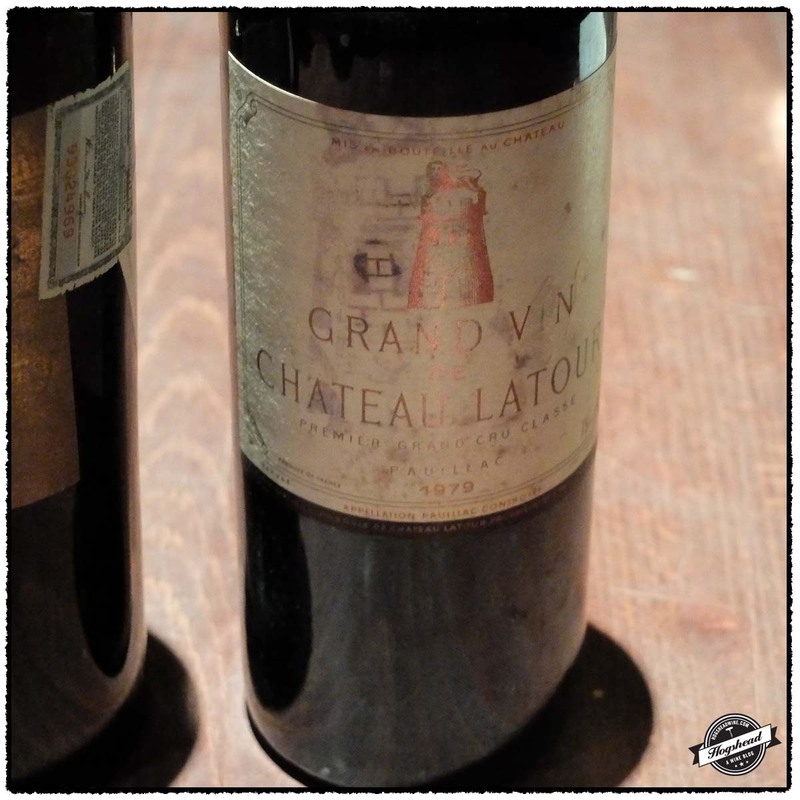 The brace of 1950s Staatsweingut bottles brought pleasure but the bottles of 1929 Chateau La Mission Haut Brion, 1928 Frederico Paternina, Gran Reserva Rioja, and 1926 Chateau Latour Haut Brion stopped me cold. 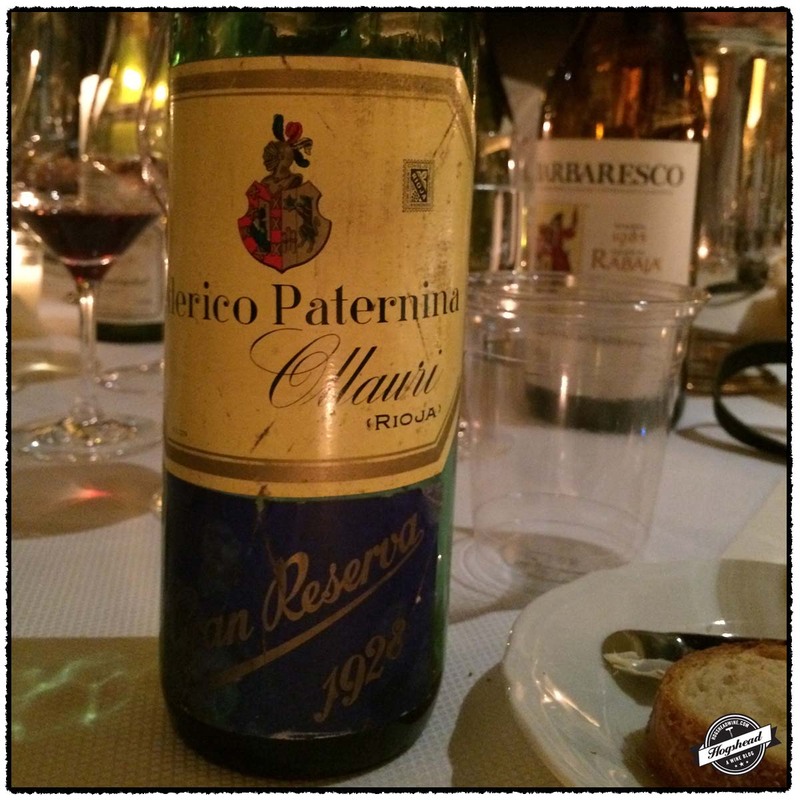 How incredible that there was a trio of red wine from the 1920s! And I should also mention a 1933 Moulin Touchais Anjou Blanc. After spending approximately six hours tasting and discussing Madeira, I was both tired and hungry. As we all moved to the dining room the mostly magnums of Champagne were broached to be accompanied by platter after platter of appetizers. 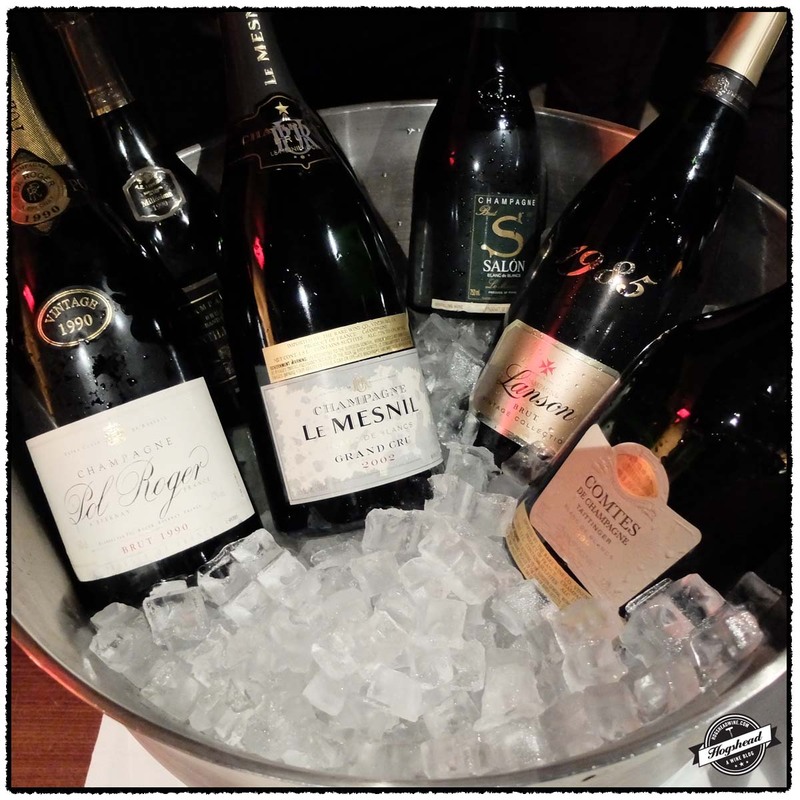 There were such bottles as 1985 Lanson Brut, 1990 Pol Roger Brut, 1996 Philipponnat “Clos des Goisses” Brut, 1999 Tattinger Comtes de Champagne Blancs de Blanc, 2002 Les Mesnil Blanc de Blancs, and a vintage of Salon Cuvee ‘S’ Le Mesnil Blanc de Blancs that escaped me. It was not a time to take notes but rather to recharge, fortify, and chat with others that I did not sit next to during the tasting. Suitably recovered I sat down to dinner between Ricardo Freitas of Barbeito Madeira and Mannie Berk. We were at one gigantic table which fortunately still allowed us to speak with those across the table. 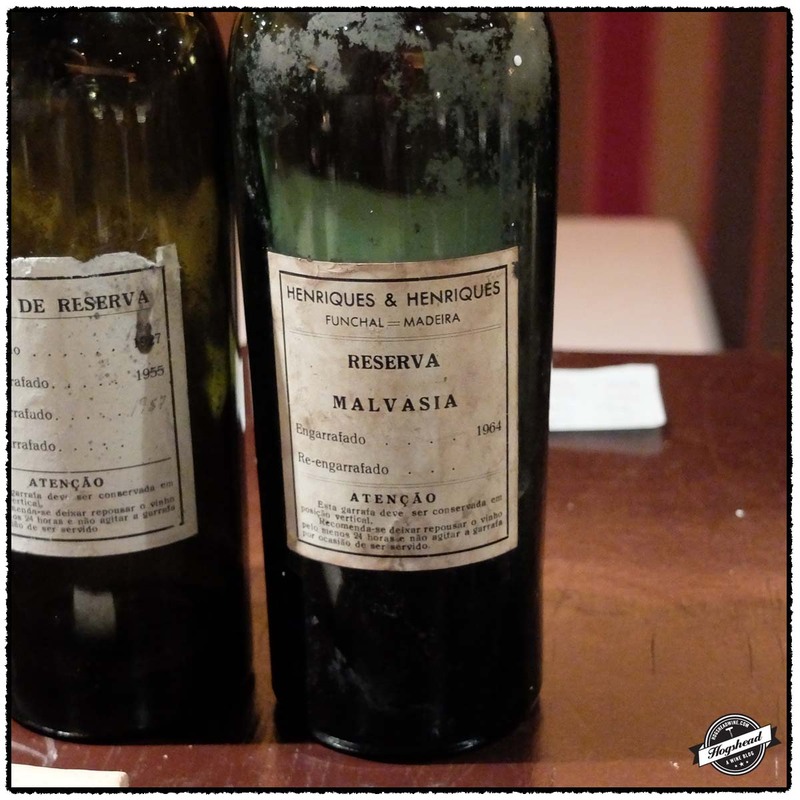 After the sommeliers had performed any requested service, each bottle they were placed on the table in front of each owner for the first taste. This was handled in the order of Champagne, white wine, red wine, and dessert wine. The number of bottles opened must have been staggering for the next several hours a new wine came by every three to five minutes. Indeed, at the end of the dinner there were nearly four dozen bottles and magnums arrayed out for the staff to finish. This quantity of top-notch wine might seem obscene but it worked for me. Through everyone’s generosity I knew this would be another unique tasting so I did my best to capture it. True, I had trouble keeping up with all of the wine, even with just writing the coarsest of notes, while eating dinner and talking away. I managed to accumulate some five wine glasses which I used to triage what I was going to concentrate on. 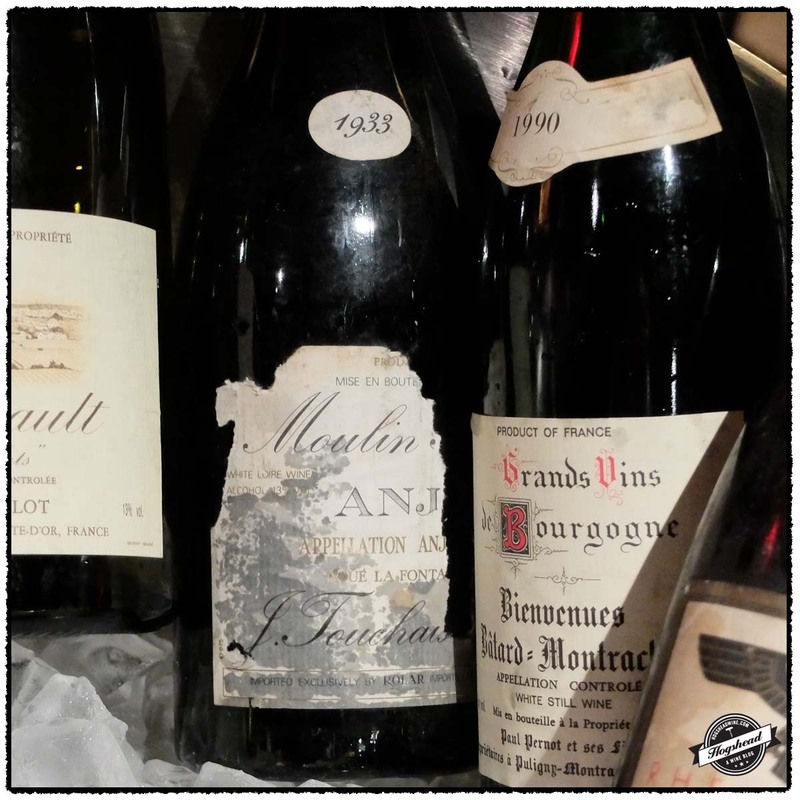 For example, I tasted but did not note 1996 Louis Jadot Griots-Batard-Montrachet Grand Cru, 1990 Domaine Paul Pernot Batard-Montrachet Grand Cru, 1989 Domaine Leflaive Puligny-Montrachet 1er Cru Les Pucelles, 1973 Berberana Rioja Reserva, and 2002 Quilceda Creek Cabernet Sauvignon. No doubt there were other wines I could not even get to. 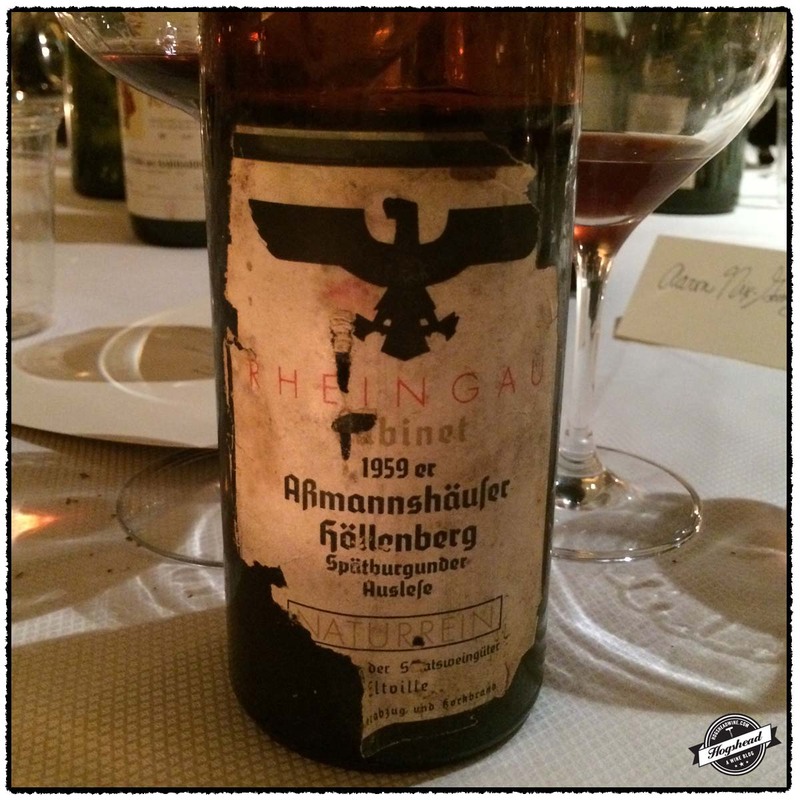 I must first state that the most revelatory bottle, though not the “best” per se, was the 1959 Staatsweingut, Domaine Kloster Eberbach, Assmannshauser Hollenberg, Spatburgunder Auslese, Cabinet, Rheingau. It never even occurred to me that old German Spatburgunder or Pinot Noir could drink so well. 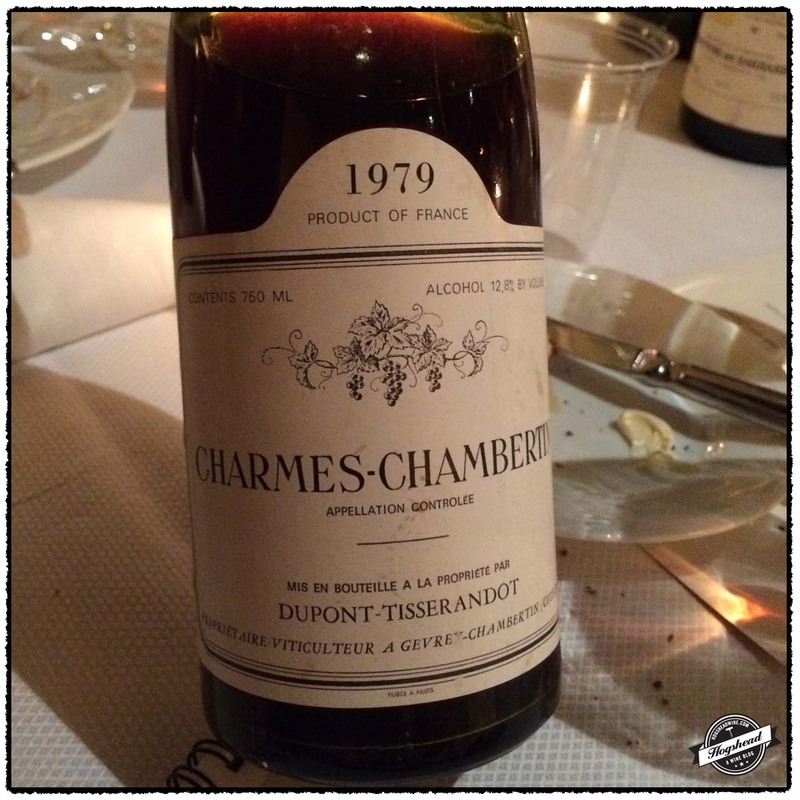 This bottle was still perfumed on the nose and though the residual sugar and short finish were indicating age, it was a pure pleasure to drink. 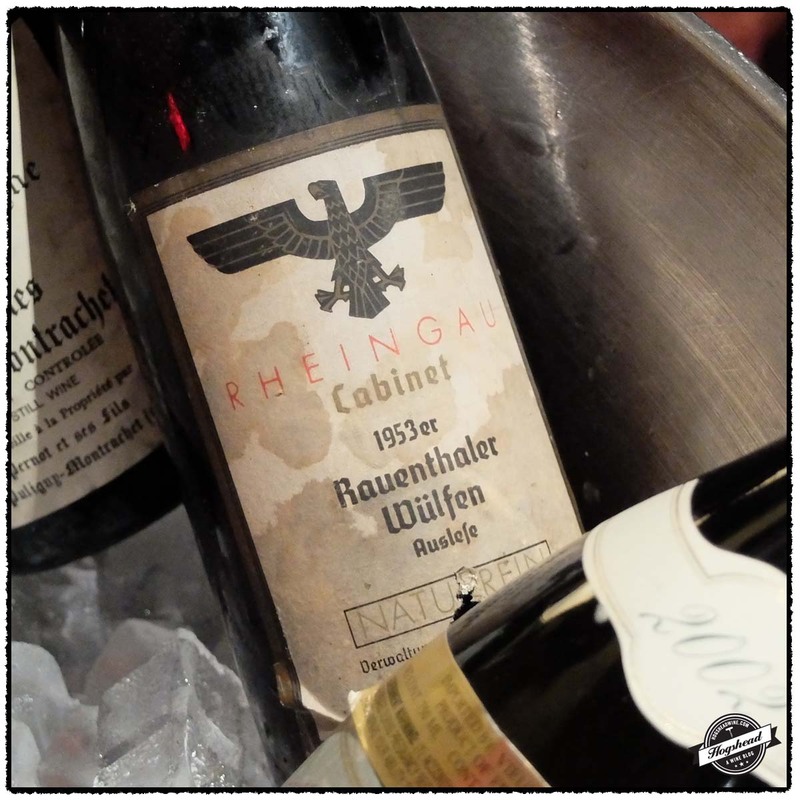 There must be a few others onto this wine for the 1935 vintage fetched over $2500 at the spring auction held at Kloster Eberbach. 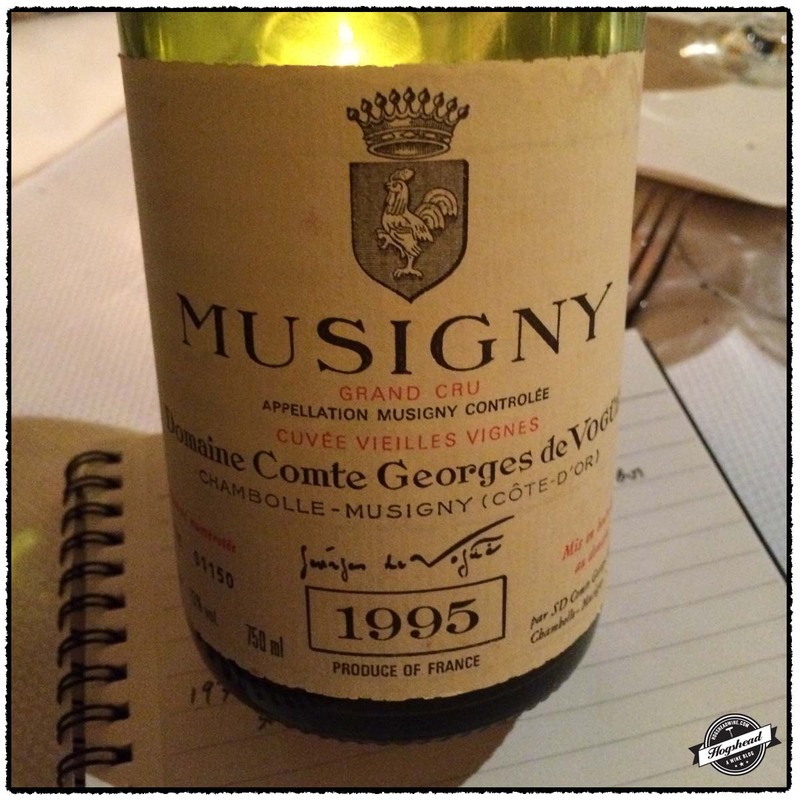 As for young wines, the 1995 Domaine Comte Georges de Vogue, Musigny Grand Cru was stunningly complex with a killer nose and all the components for long aging. I can see what all the fuss is about. 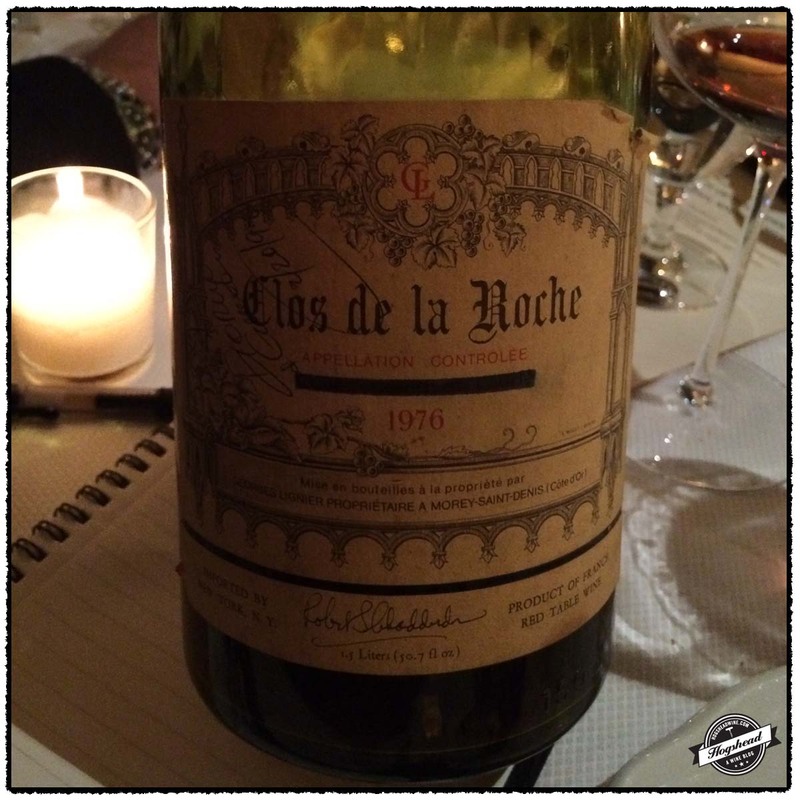 At the more mature side of Burgundy, the 1976 Georges Lignier, Clos de la Roche showed great from magnum. Even Berry Bros & Rudd notes on their website that this wine “was superb, still remarkably youthful” when drunk in 2009. 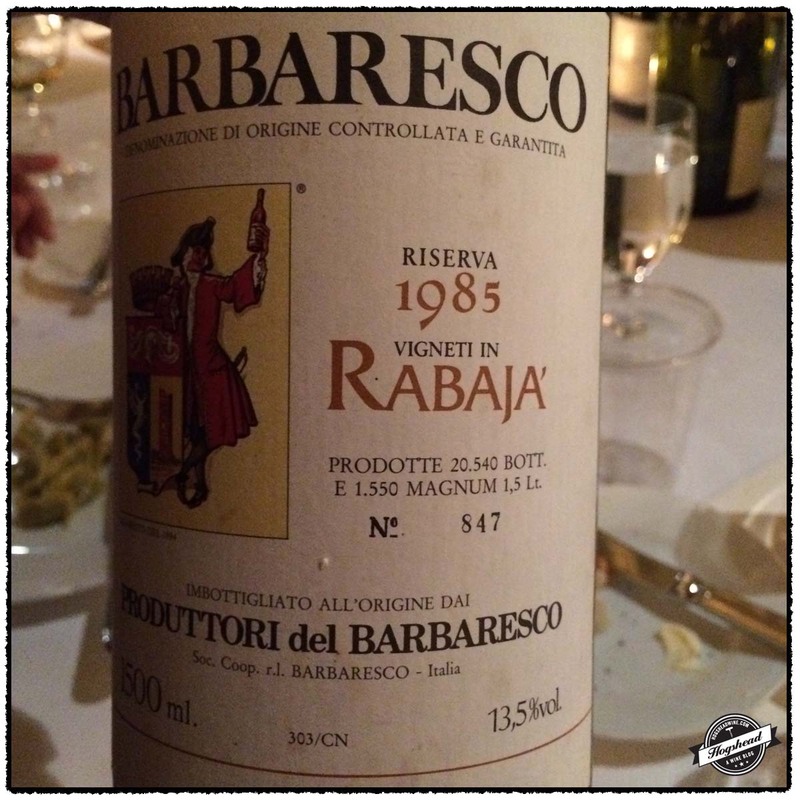 If I had to pick one Italian wine it was, again in magnum, the 1985 Produttori del Barbaresco, Barbaresco Riserva Rabajà. The nose alone left one satisfied! There were many other lovely bottles of wine so I encourage you to step through my brief notes. Thanks again to Mannie and Roy for organizing the dinner as well as to everyone else who pulled from their cellars and excitedly shared their precious bottles. There was a great nose followed by flavors that were not too sweet but of ripe fruit. The wine still had some richness with a spicy, soft finish. In great shape. This had apple-like flavors with a more austere finish. 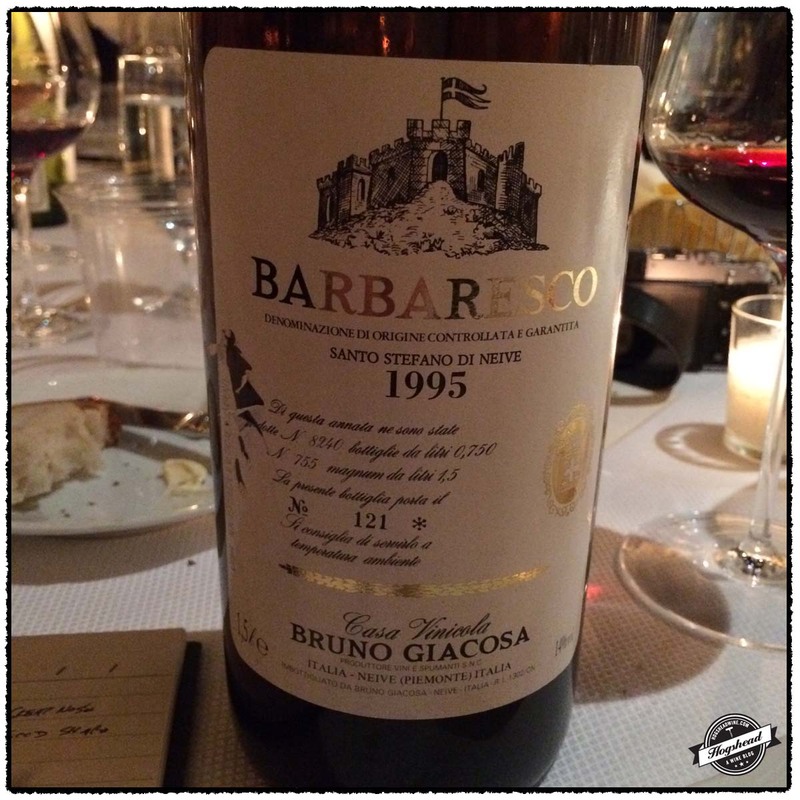 This tasted young with great acidity that was lively on the tongue. The flavors had controlled ripeness with both chalk and smoke notes and a citrus pithe finish. Nice. The nose was very aromatic with red fruit. In the mouth were racy, black fruit flavors, the whole wine was à point. This was young with dry, firm and linear flavors. I noted it needs a few more decades of age. There was a beautiful nose followed by lovely, dry fruit, and a tart, linear finish. With air the fruit became more prominent and the nose, stunning. 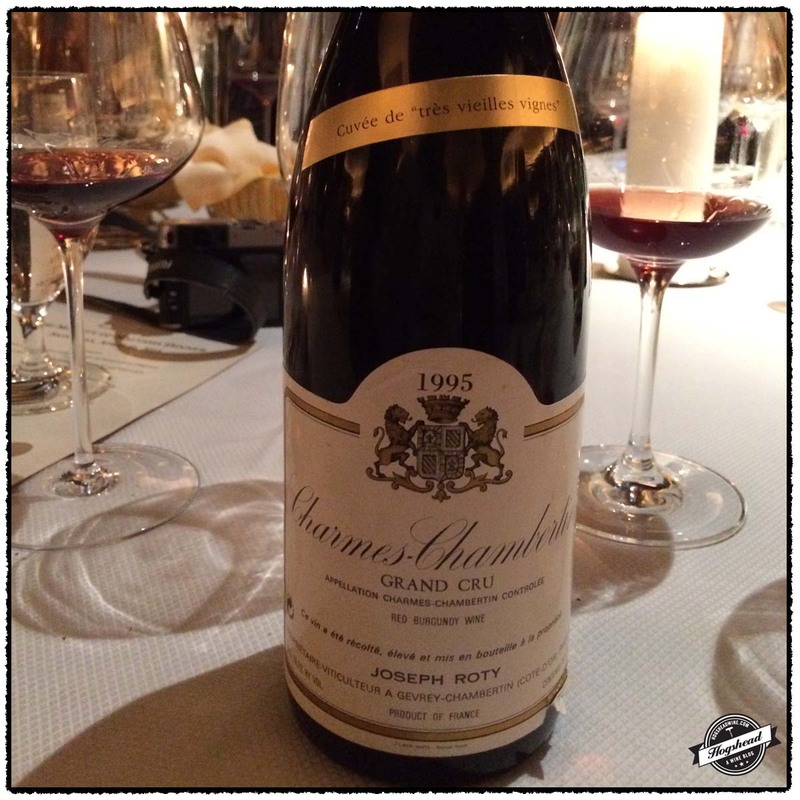 There was a rather perfumed nose followed by concentrated flavors of bramble and dry, young fruit. The wine turned black with drying, grippy tannins that left a very youthful impression. After decanting this revealed a good Riscal nose. There were mushroom flavors in this wine that was still very much alive. It had dusty, black fruit, dry flavors, and still had structures. If faulted it was a touch hollow. The nose was slightly medicinal but seemed to clean up. Compared to the Riscal this bottle had riper, polished fruit that was still supported by structure. There was more power in the finish with a better sense of completeness. 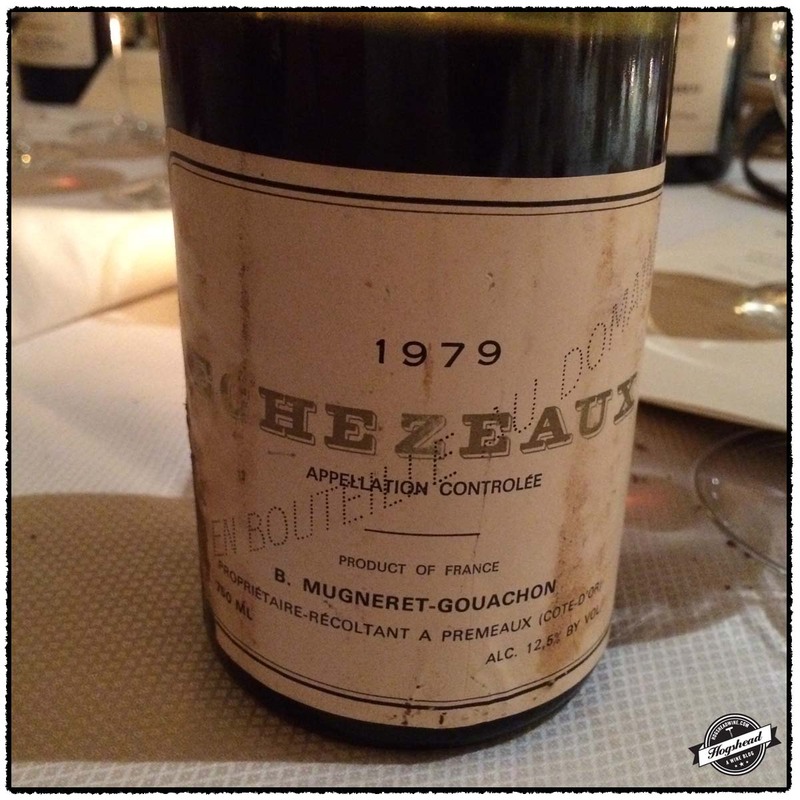 There was tart, red structured fruit that was brighter and youthful in a sense. But with air it started to fade. This was classic with bell pepper notes, black fruit, grippy tannins, and a fresh personality. The nose bore mature aromas that mixed with campfire notes. 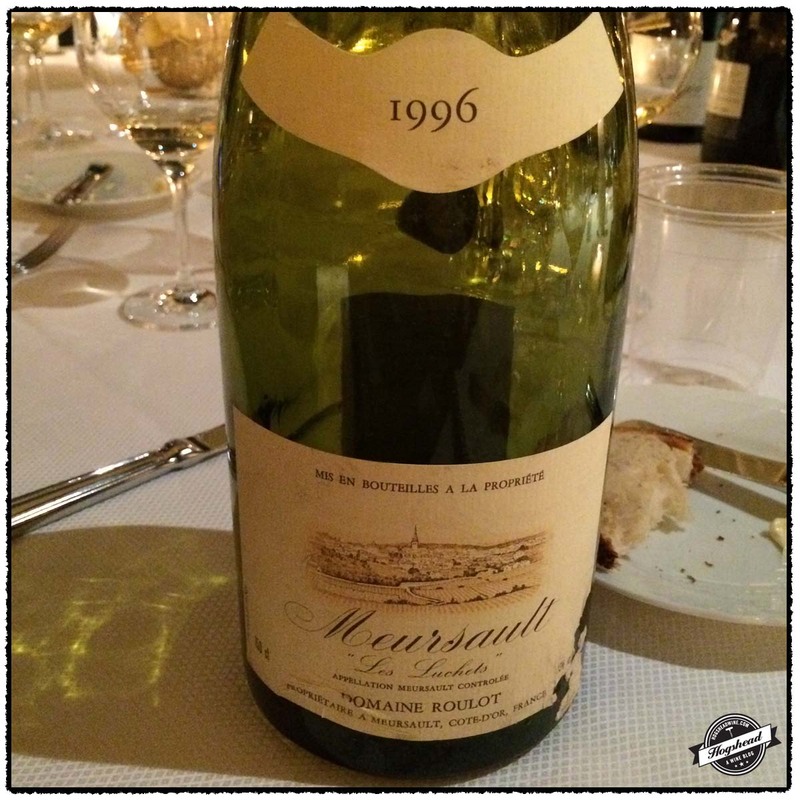 In the mouth the wine was straight up beautiful with youthful grip to the fruit and noticeable structure. The beautiful nose set up the wine with its structure that supported ethereal flavors, turkey stuffing notes…simply put, a lovely wine to drink. The nose was of roast earth and mushroom. In the mouth earthy red fruit, acidity, grip, structure, that made for a lovely, overall experience. There were beautiful flavors of deep orange and red fruit that was clearly the youngest tasted thus far. It took on some lovely cranberry red fruit and showed a lot of potential. The nose was stink with tart fruit and eventually cleaned up a bit. The flavors followed in the mouth but not so much. Still had some body. This wine was surprisingly lively with old perfume, some sweetness, and fruit. The finish was a bit sharp and short with noticeable residual sugar. Still, an old wine that was a treat to drink. Wow, there was a killer, young nose of lipstick and perfume. In the mouth there was incredible complexity despite this young wine having tart, cranberry, red, and black fruit that was structured. This left an impression. Beautiful. This bottle left me wanting for more. 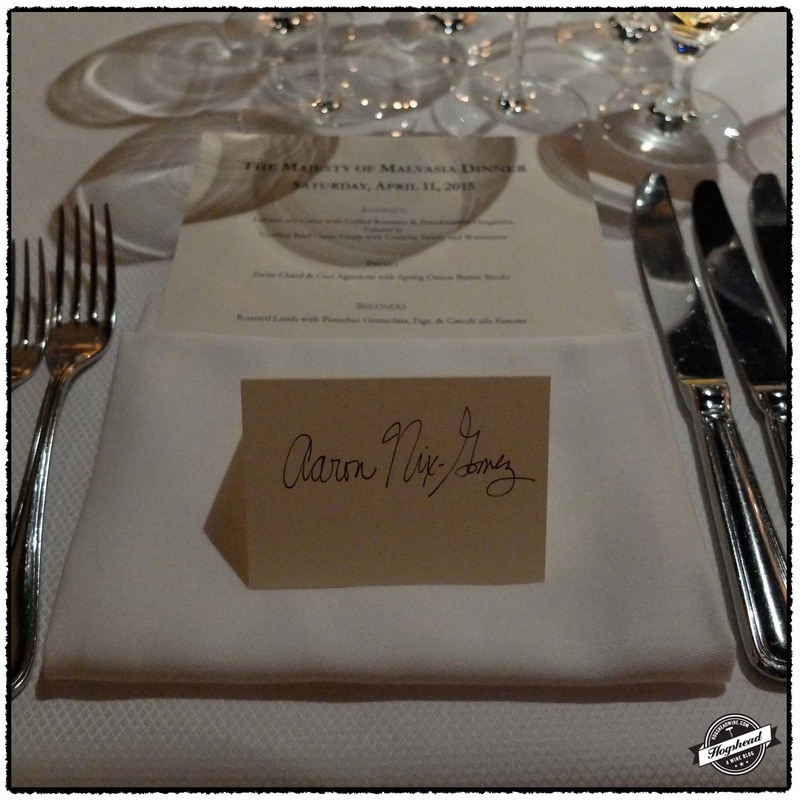 On April 11, 2015, I attended The Majesty of Malvasia Tasting in New York City. 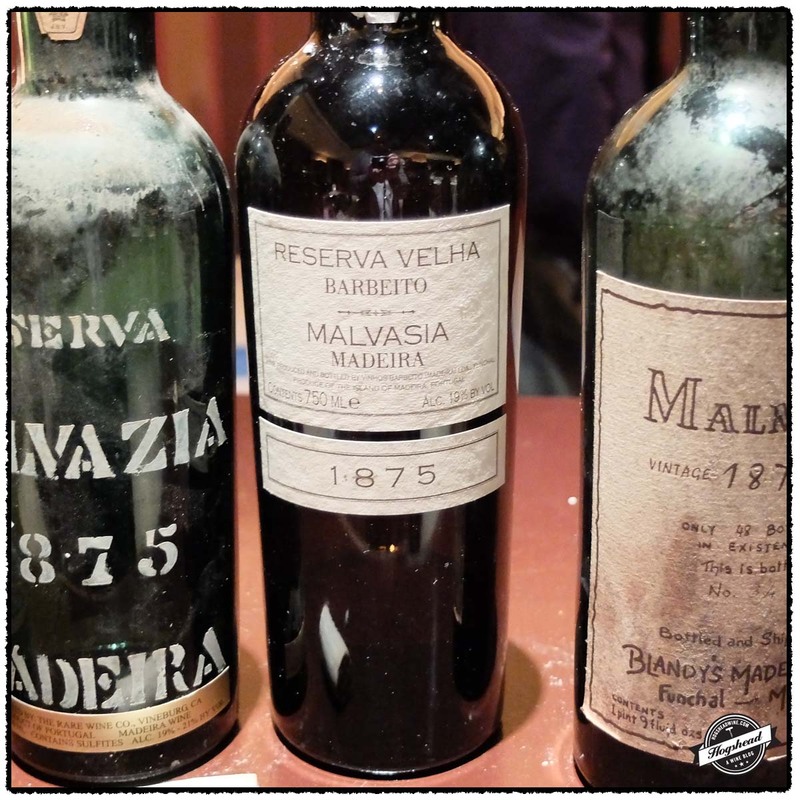 This was the fourth in a series of definitive annual Madeira tastings organized by Mannie Berk (The Rare Wine Co.) and Roy Hersh (For The Love of Port). 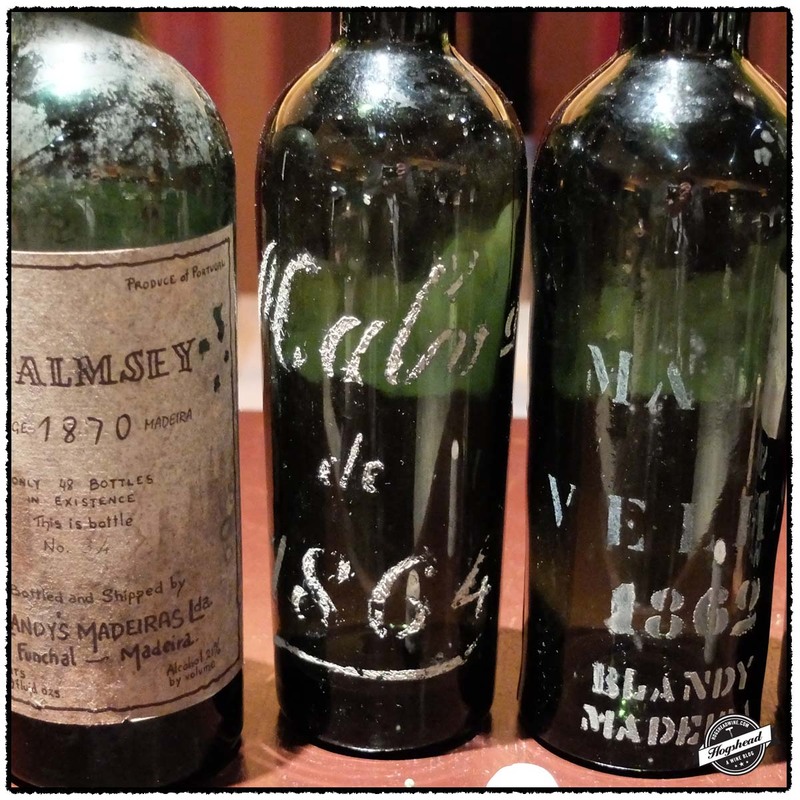 In the post “Very rich and old”: Malmsey in America at the turn of the 19th century I published the article I wrote for the tasting booklet. 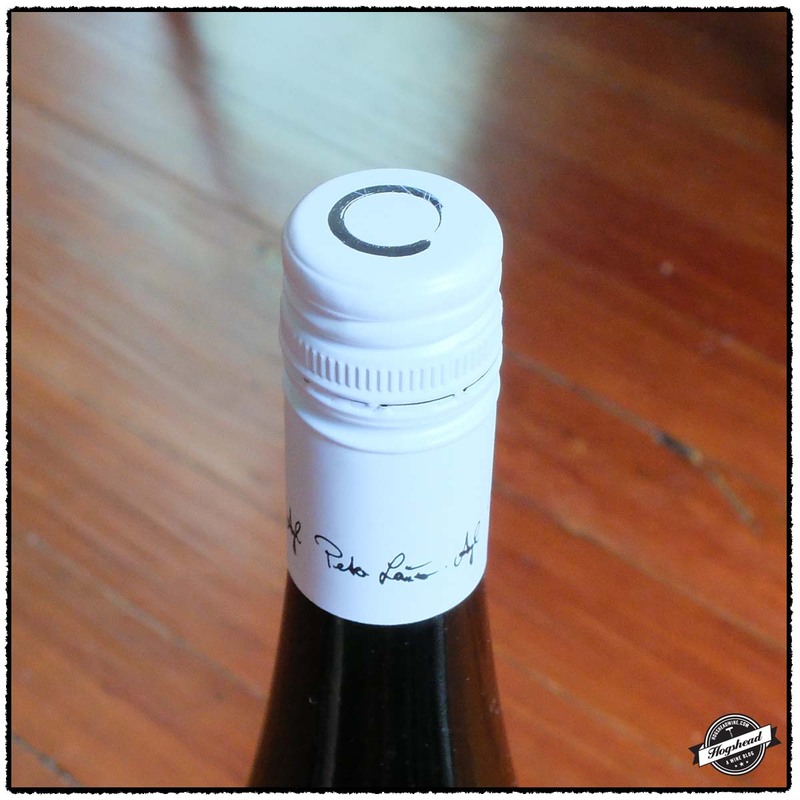 This post features my tasting notes. “…where the Americans beat us out of the field is their Madeira, which certainly is of a quality which we cannot procure in England. 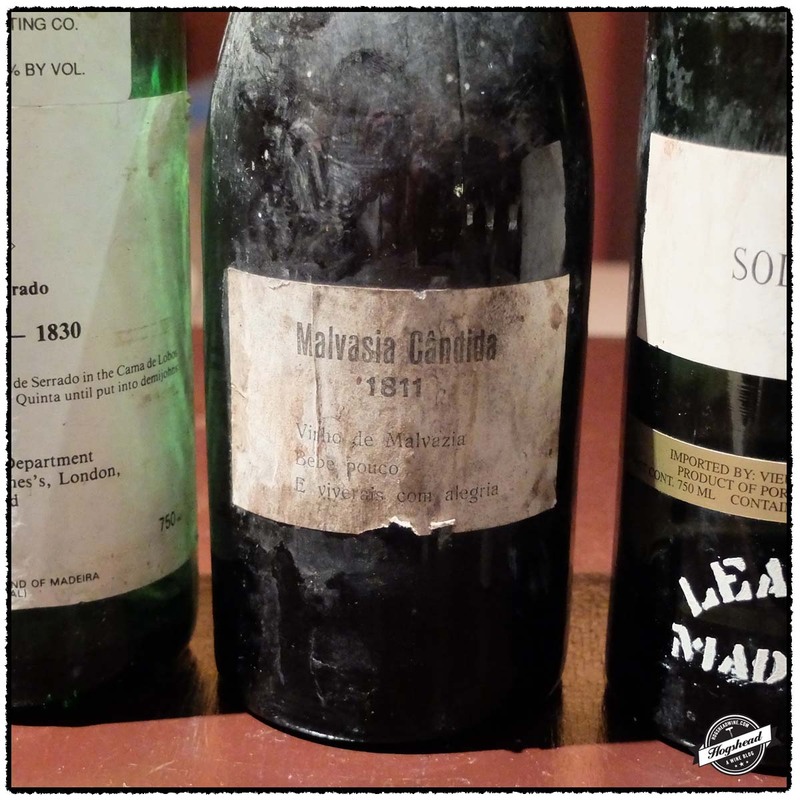 This is owing to the extreme heat and cold of the climate, which ripens this wine; indeed, I may almost say, that I never tasted good Madeira, until I arrived in the United States.” Marryat, Frederick. A Diary in America. (1839). 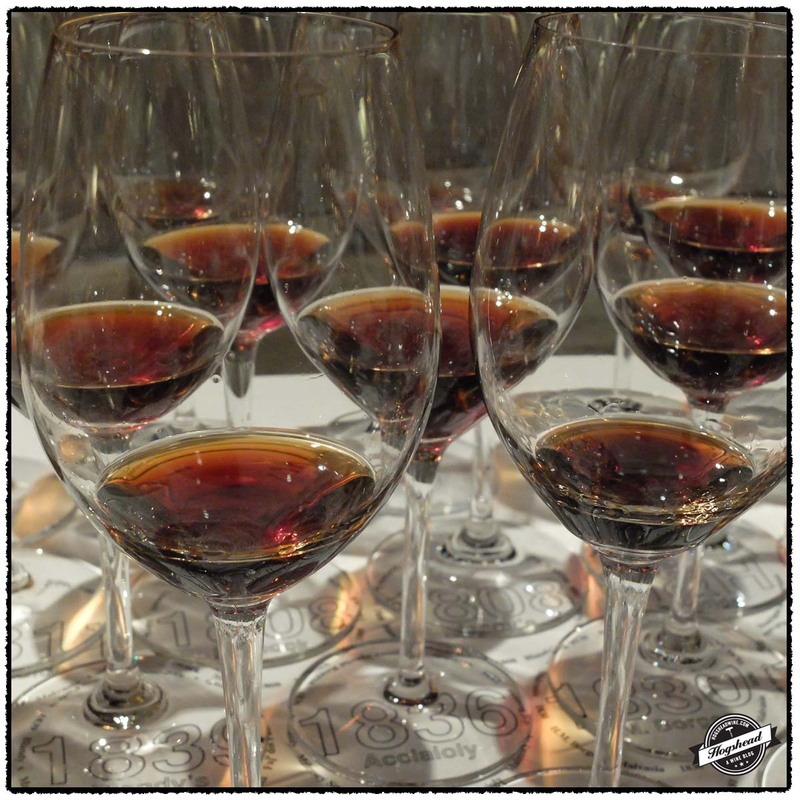 This spring I attended the fourth in a series of incredible Madeira tastings organized by Mannie Berk (The Rare Wine Co.) and Roy Hersh (For The Love of Port). 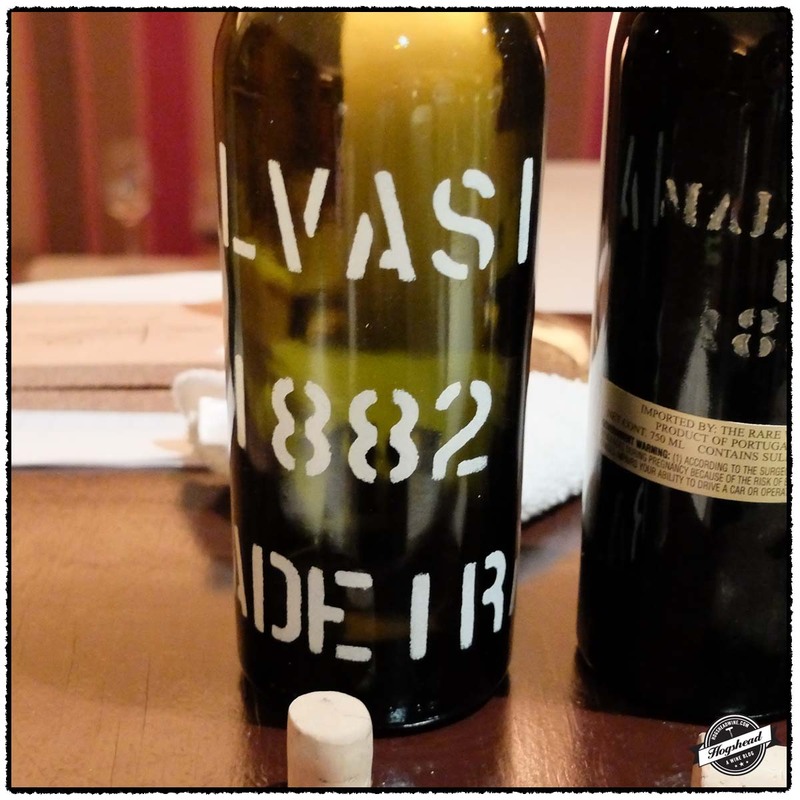 The previous tastings focused on the varietals Terrantez, Verdelho, and Bual so it was natural that Malvasia would be the most recent subject. 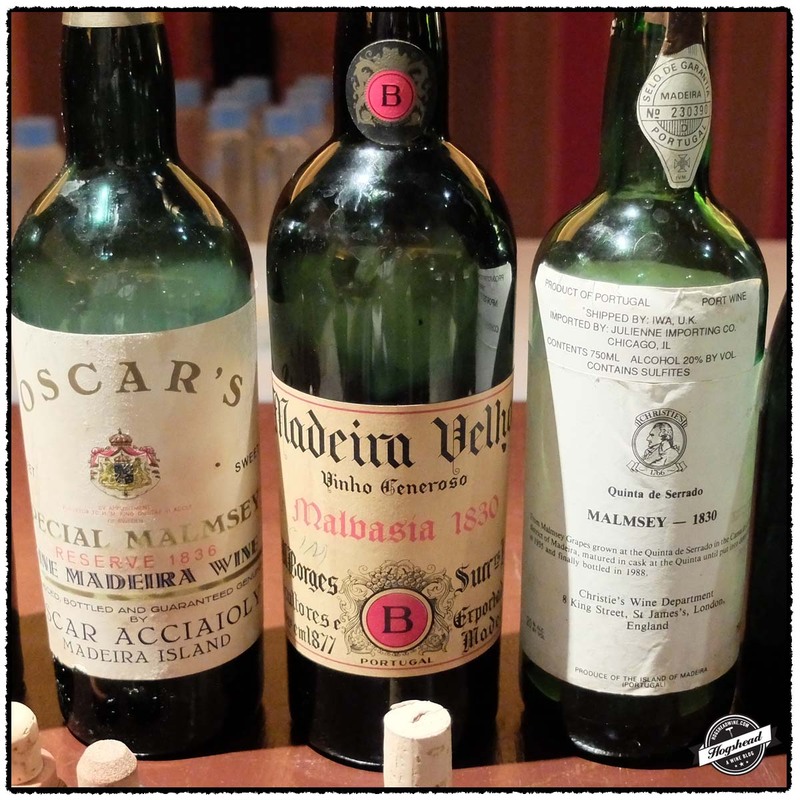 The tastings have always been held in New York City, which while convenient for travel by plane and rail, is historically home to some of the best Madeira cellars. 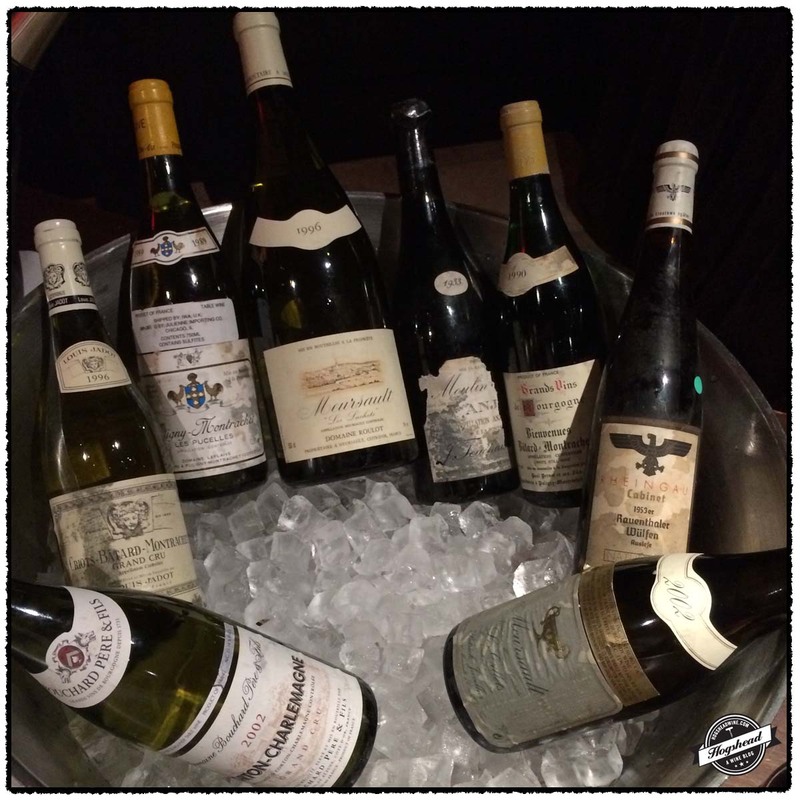 Thus on April 11, 2015, I walked into the basement of Del Posto restaurant to taste 20 wines. The youngest of the wines was only bottled less than two months prior. 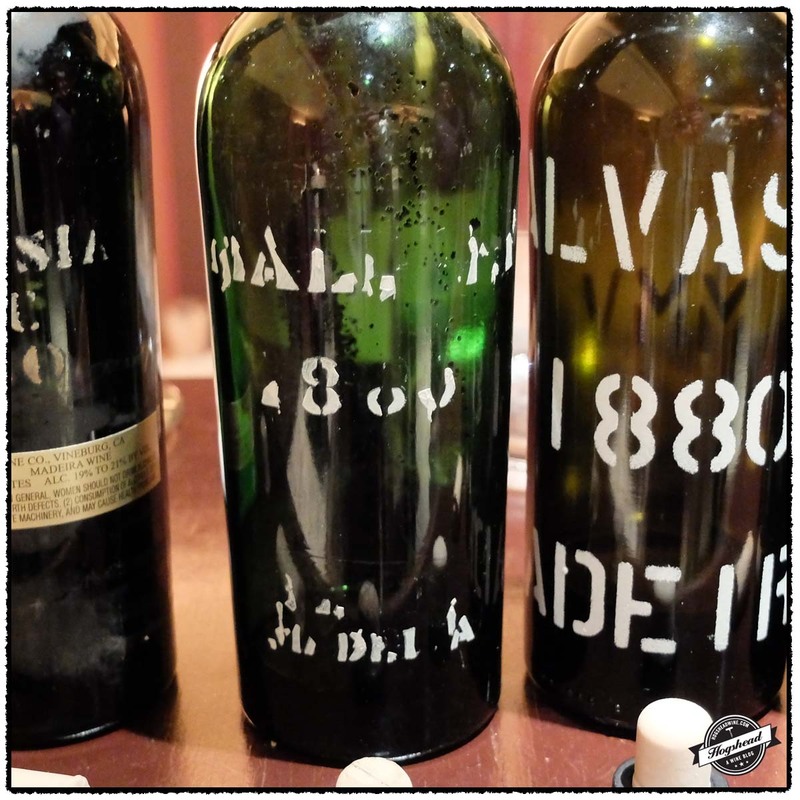 Incredibly, it was from the vintage of 1882. Readers of this blog will know that I frequently write about the history of Madeira during the 19th and 18th centuries. 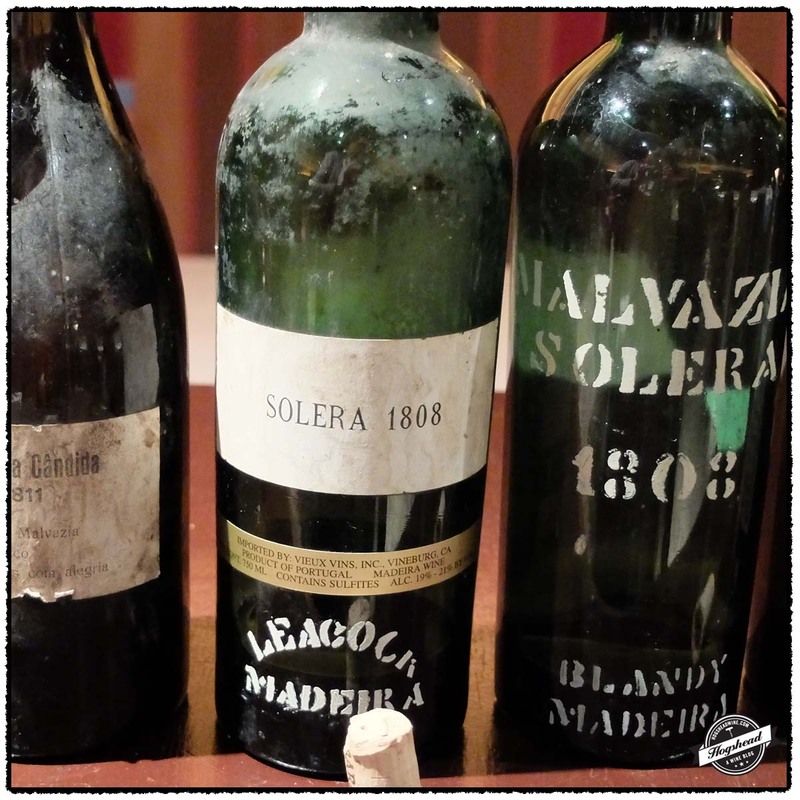 Despite my historic knowledge, my previous experience drinking old Madeira was limited to just two wines shared by Mannie Berk, one being the stunningly aromatic 1846 Leacock Terrantez and the other a youngster from the 1897 vintage. You can imagine that there was no choice to be made upon receiving an invitation to the tasting. These Madeira tastings encompass around 20 different wines organized into flights. Legendary bottles mixed with unknown bottles, playing off of vintage similarities as well as by firm. Thus it takes considerable effort each year for Mannie and Roy to organize these tastings. They consider the best bottles from the best cellars which means the wines and the attendees come from all over the world. 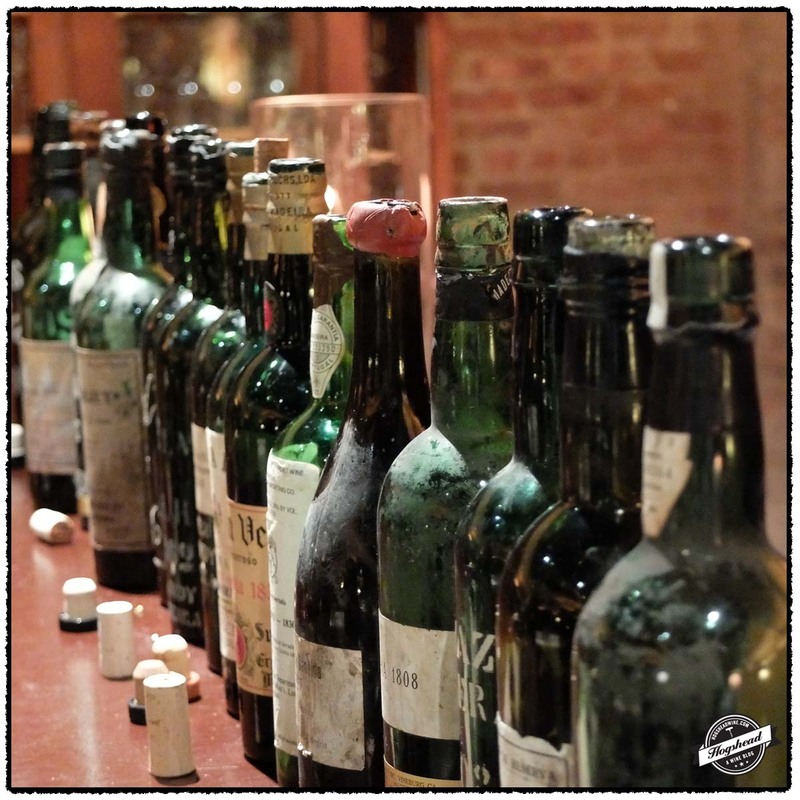 For our tasting, some wines were known to exist in quantities of up to 1,000 bottles but most have only been cataloged from a few hundred down to just two dozen bottles throughout the last 40 or 50 years. For a few selections, only a handful are known to have existed through contemporary times. These are seminal tastings never to be repeated in such depth. 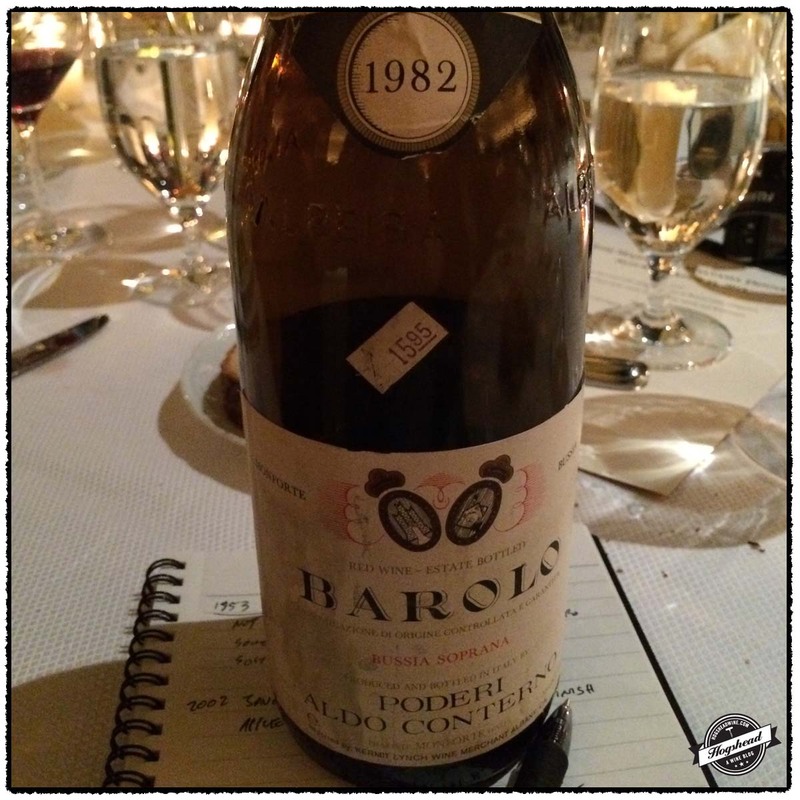 As a wine historian my attention was caught by vintages we were to taste. The very oldest year 1808, appears in the correspondence of our fourth President James Madison. 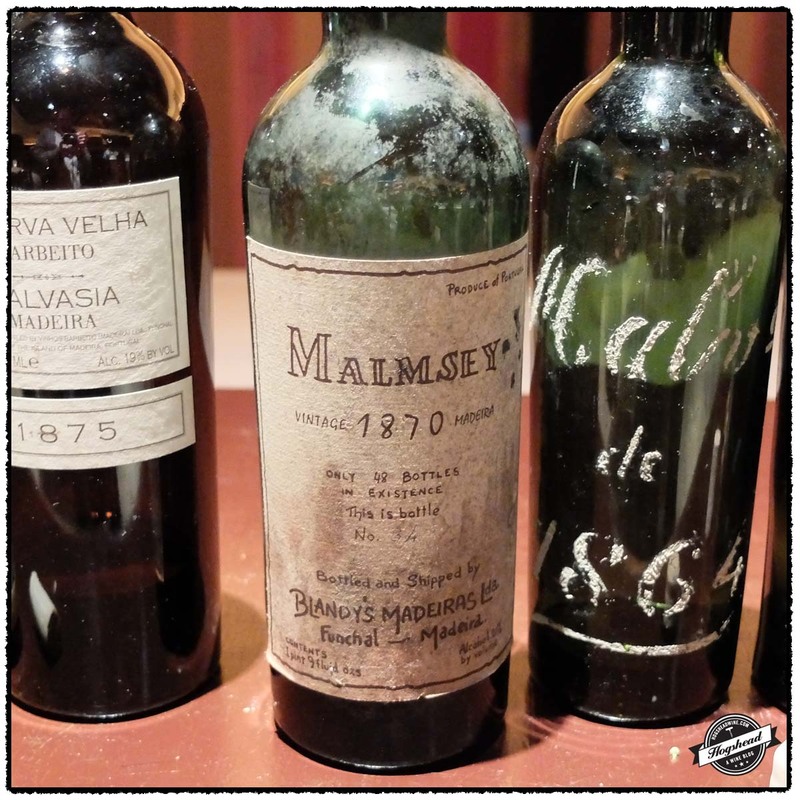 The later years fall into a period written about nearly a century later by the Madeira expert Charles Bellows and consumed by the Baltimore Madeira connoisseur Douglas H. Thomas. 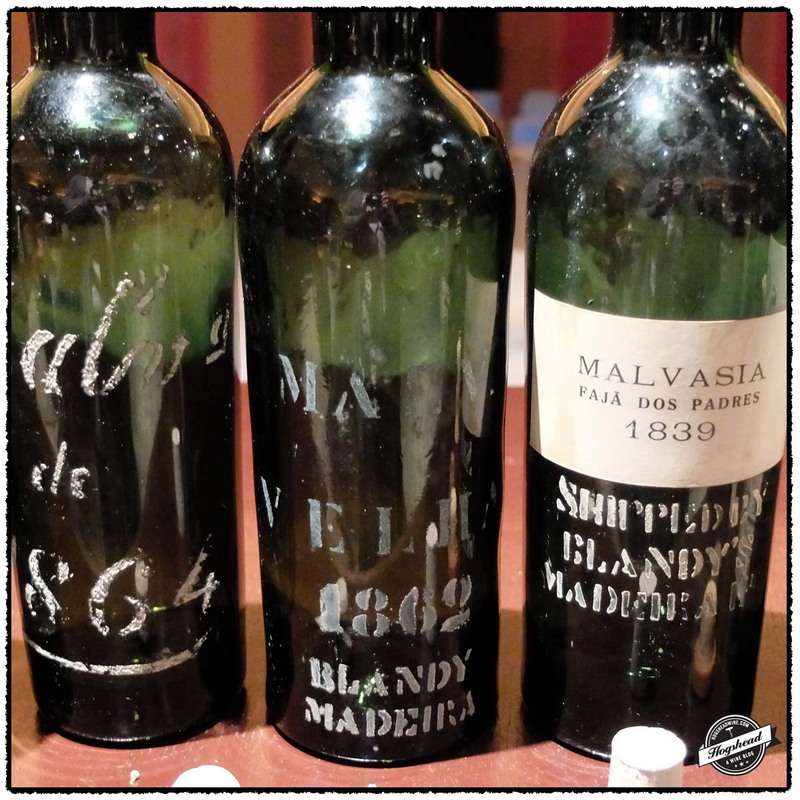 For most of the 18th century and much of the 19th century Madeira was the one wine obsessed about by affluent Americans. 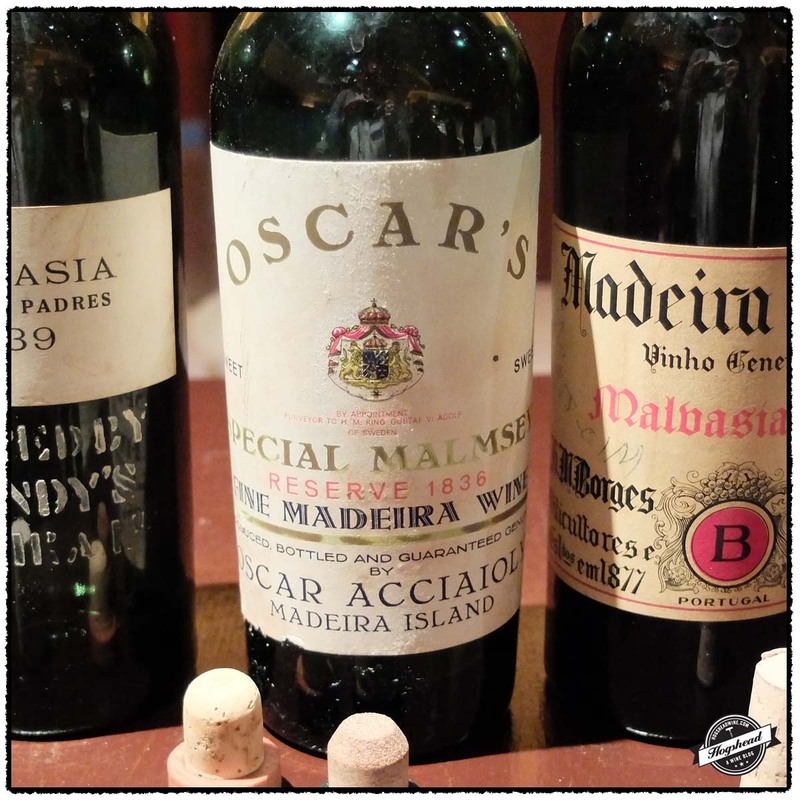 As a result, there is a rich history detailing Madeira orders with various vintages and names appearing in invoices, menus, and advertisements. In a unique fashion many bottles even bore tags or labels detailing their own history. 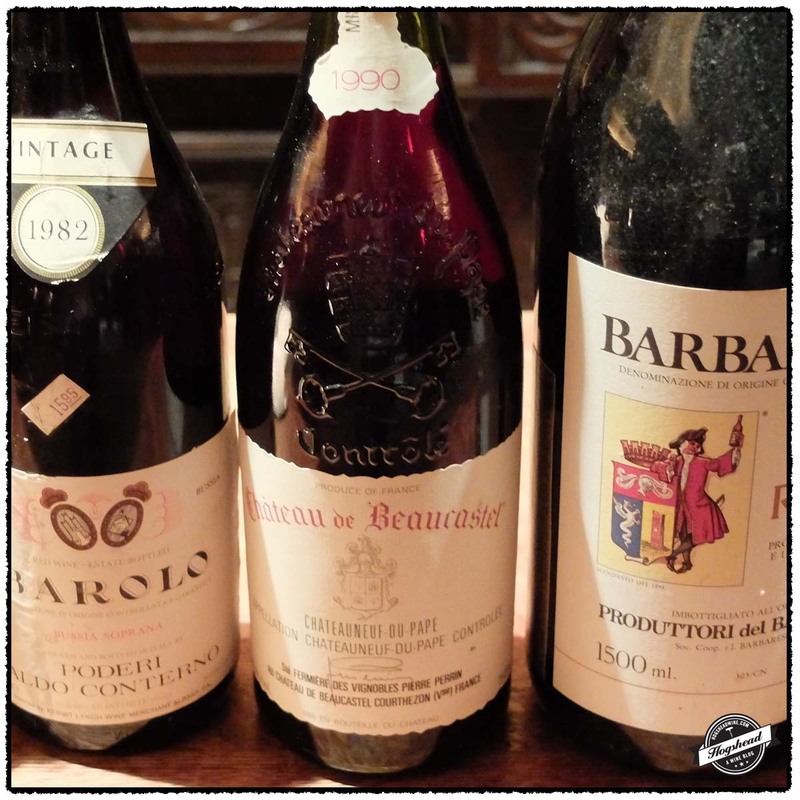 Despite all of this documentation inventorying these treasured wines and how to take care of them, there is maddeningly very little about how these wines actually smelled and tasted. 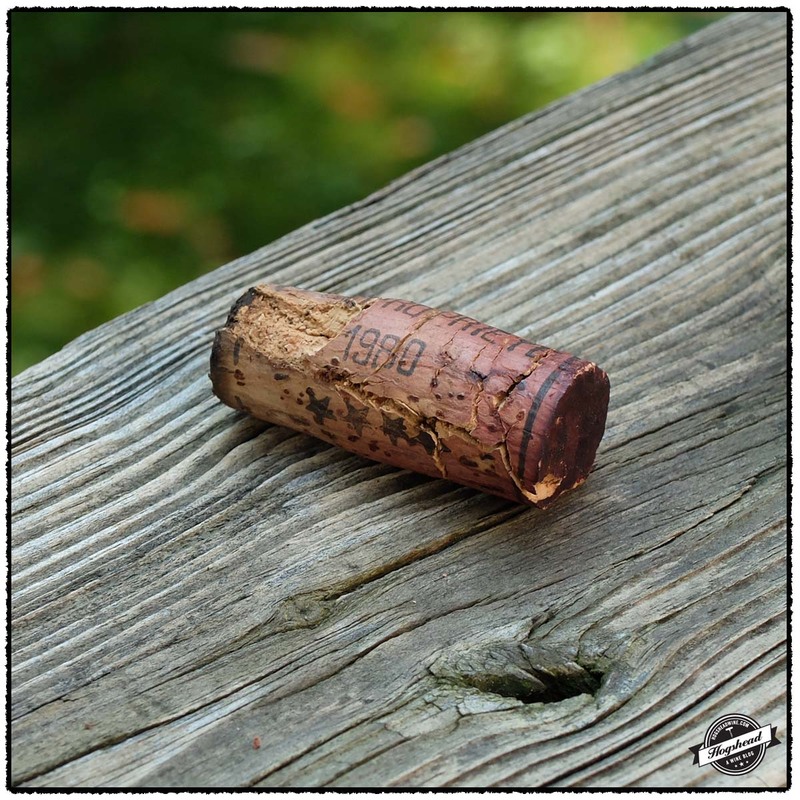 Most descriptions are limited to pungent aromas and whether the wine was bruised or pricked. It was, however, the color of the Madeira that was captured in description. Color was of such importance to the Founding Fathers that their Madeira wines were often colored with James Madison preferring those of “deep colour”. Deep color appears to remain in favor as we move forward in time. Henry Vizetelly published a great range of descriptions in Facts About Port and Madeira (1880). He wrote of tasting a circa 1820 Henry Dru Drury Malmsey as “deep-tinted” and a circa 1835 Henriques & Lawtons Malmsey as “of ruby brightness”. 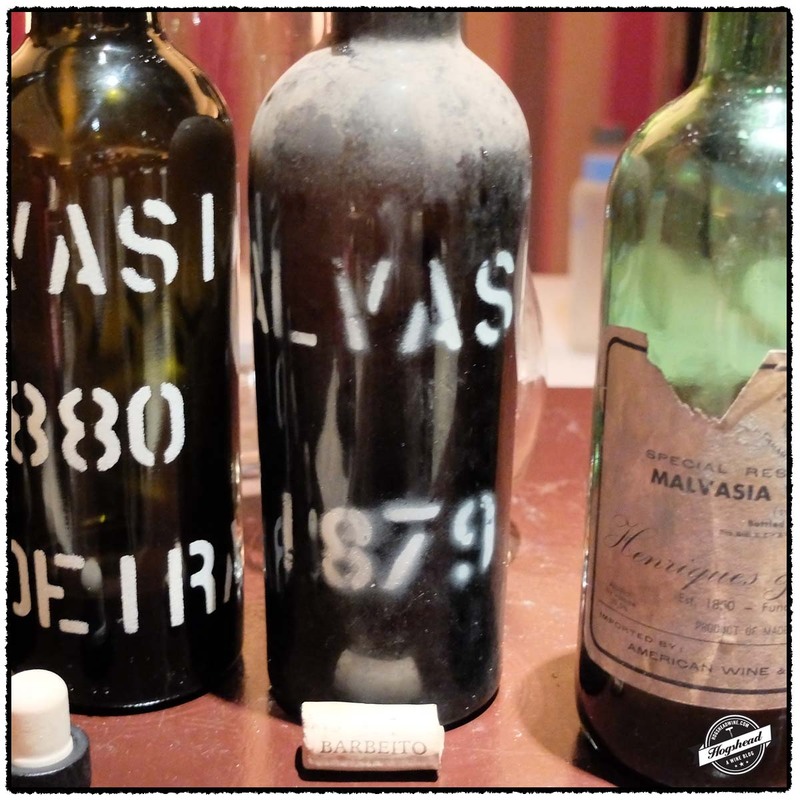 At the close of the 19th century, Charles Bellows introduced the styles of Madeira with “deep colored old Malmsey” in Bonfort’s Circular. Ward McAllister writing in Society As I Have Found It (1890) took a different tact, characterizing the range of Madeira styles to color, “As in painting there are the Murillo and Correggio schools, the light ethereal conceptions of womanhood, as against the rich Titian coloring”. For the wines we drank I found the colors to be variations of amber with some leaning towards walnut and others cola. 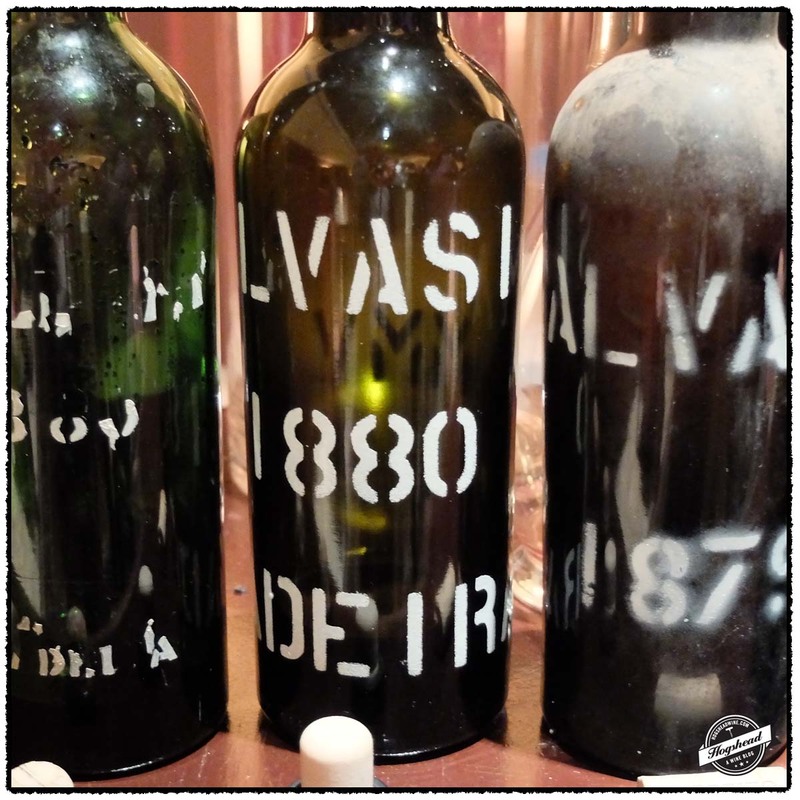 Given that our youngest wine was over 130 years old a shift in color is to be expected. I should clarify that despite drinking vintages written about in the 19th century, we did not taste the same wines. Our bottles crossed the Atlantic Ocean within the last several decades if not months, instead of in the warm hold of a 19th century sailing ship. 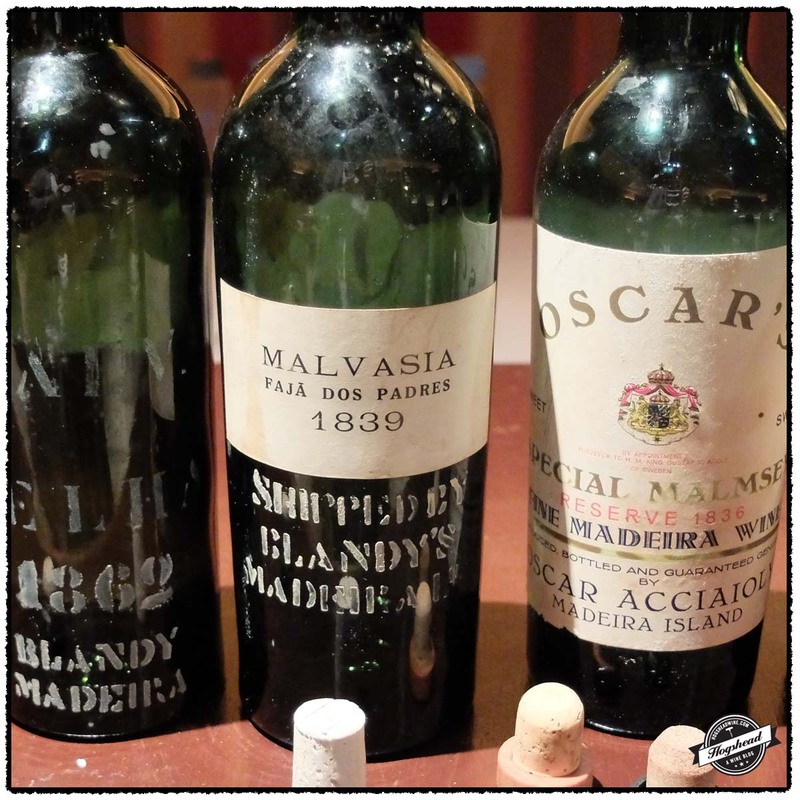 Beyond the increased age of the Madeira at the tasting, there is another notable difference between what we drank and that of the Founding Fathers. George Washington and Thomas Jefferson typically bottled their Madeira from cask for immediate consumption. James Madison aged his casks of Madeira for six or seven years before bottling them after which he aged them further. Much of what we drank was aged in cask for decades and even over a century before additional aging in demijohns. From demijohn the wines were then bottled. 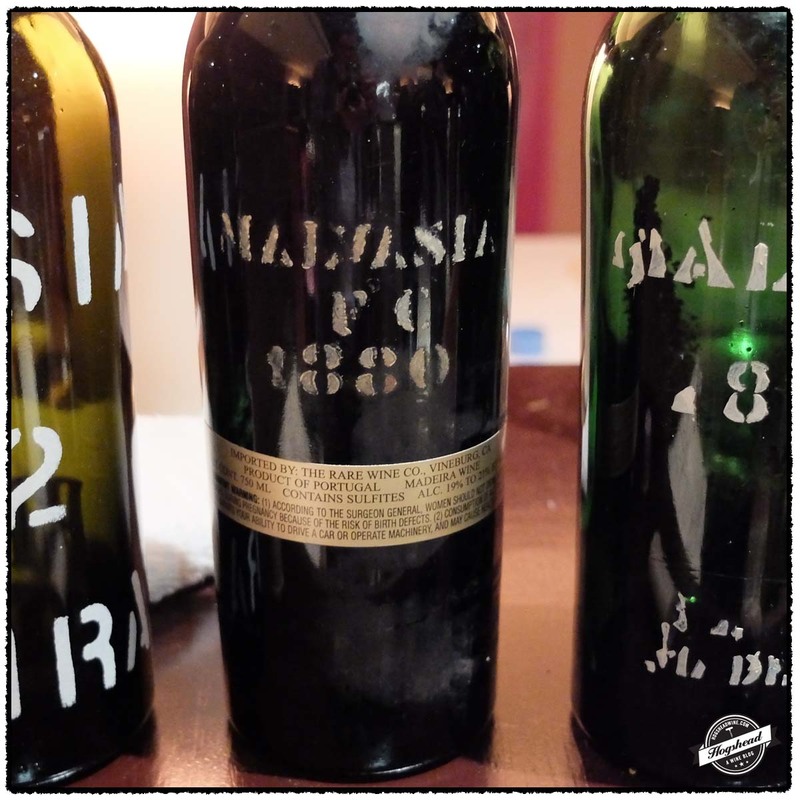 Richard Mayson has already published background information on Malvasia and his tasting notes in his post The Majesty of Malvasia. 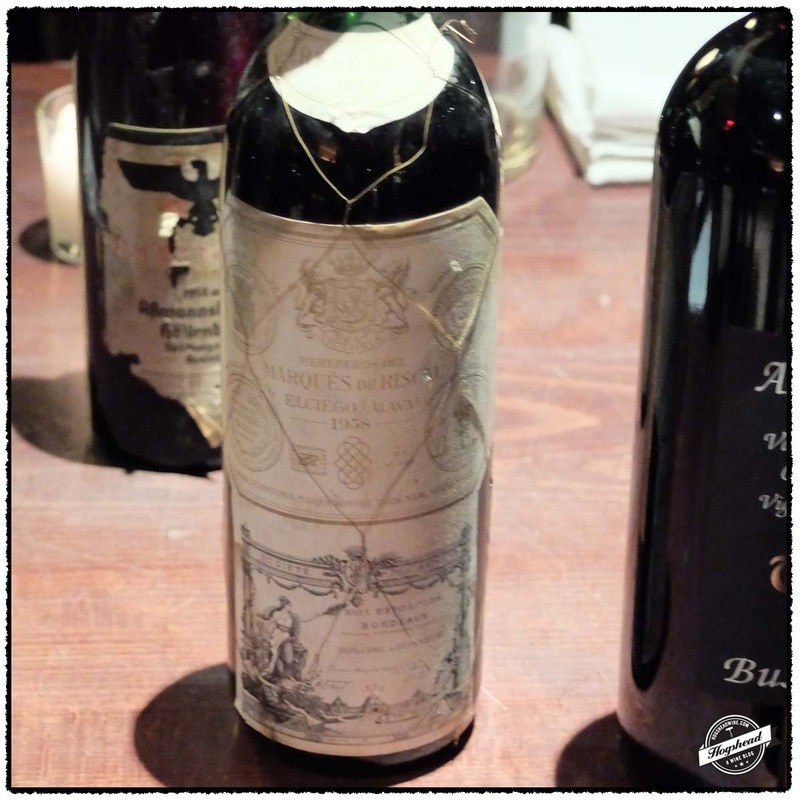 You will find the history of each bottle as described by Mannie Berk preceding each of Richard’s tasting notes. I strongly encourage you to read these descriptions. Roy Hersh has published his tasting notes from the previous events in The World of Fine Wine Magazine. I will update this post once he has done so for this tasting. 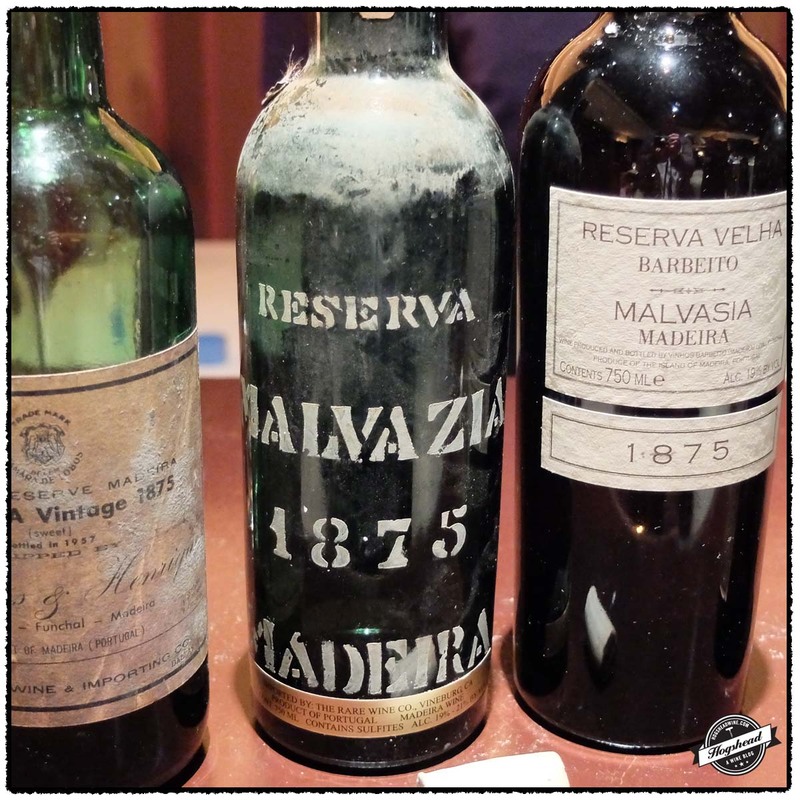 I must admit it was hard not to get excited by sitting in a room filled with the aroma of old Madeira but at the same time I knew I was up for a challenge in describing a range of wines new to me. By the end of the tasting I felt on better footing. Unfortunately, I went through a fair amount of my pours to get there. This did not matter to me for incredibly, only a couple of wines were distinctly less interesting which left many in the captivating and mind-blowing category. 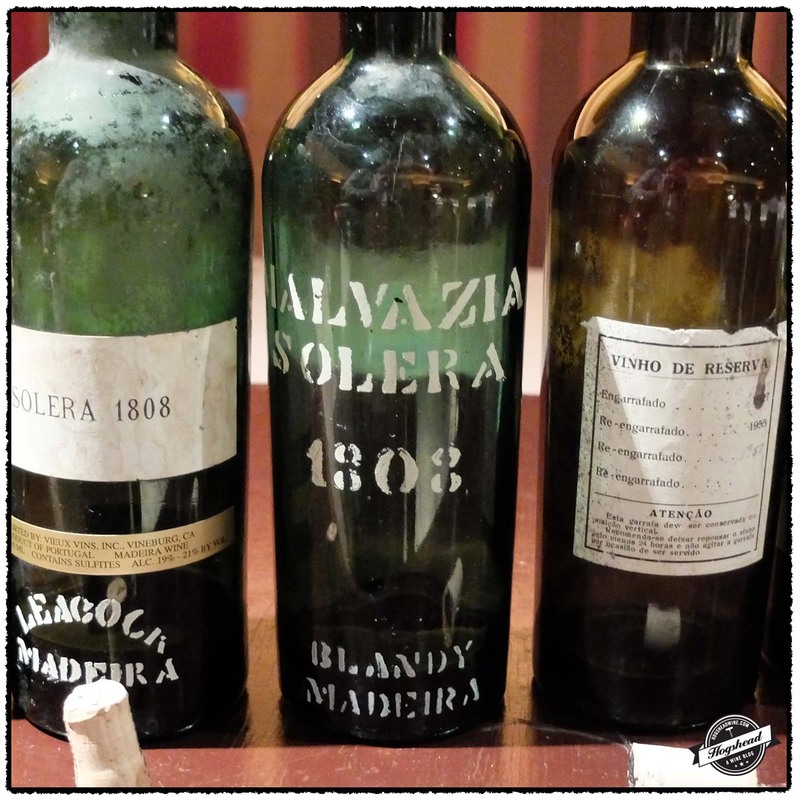 Where else but Madeira can a wine from the 1880 vintage taste young and a series from the 1830s taste incredible, each with their own personality? 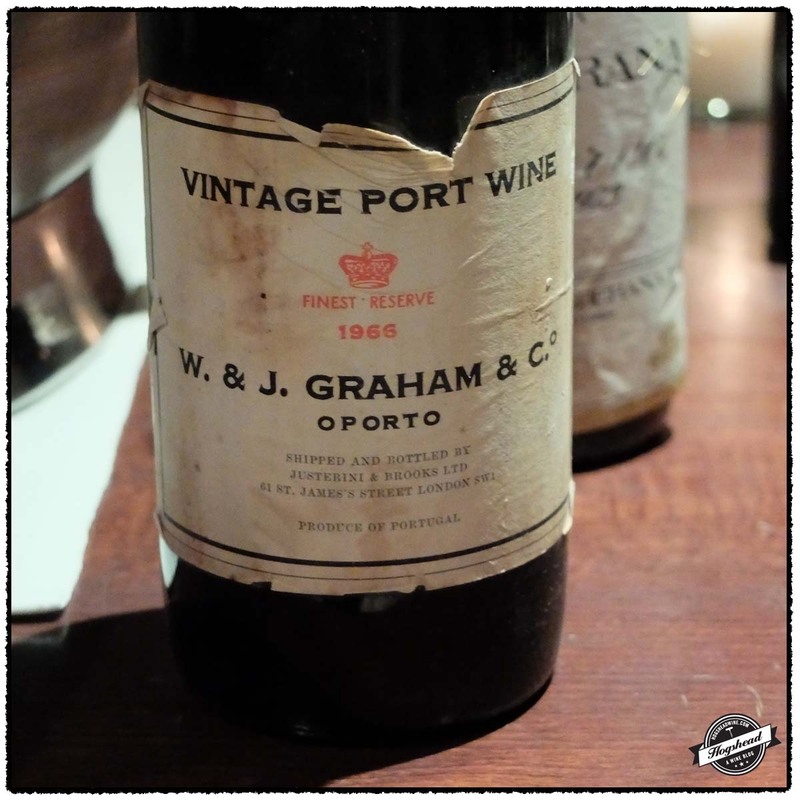 Likewise, some of the most drinkable wines were a blend of vintages. As for my tasting notes you will find them below in the order tasted. For each flight I have reproduced the vintage comments from Noel Cossart’s Madeira The Island Vineyard (2011) that was lovingly revised by Mannie Berk. In a future post I will take a historic look at some of the vintages and wines that I tasted. Many thanks to Mannie, Roy, and everyone else who attended in making this the tasting of my lifetime. 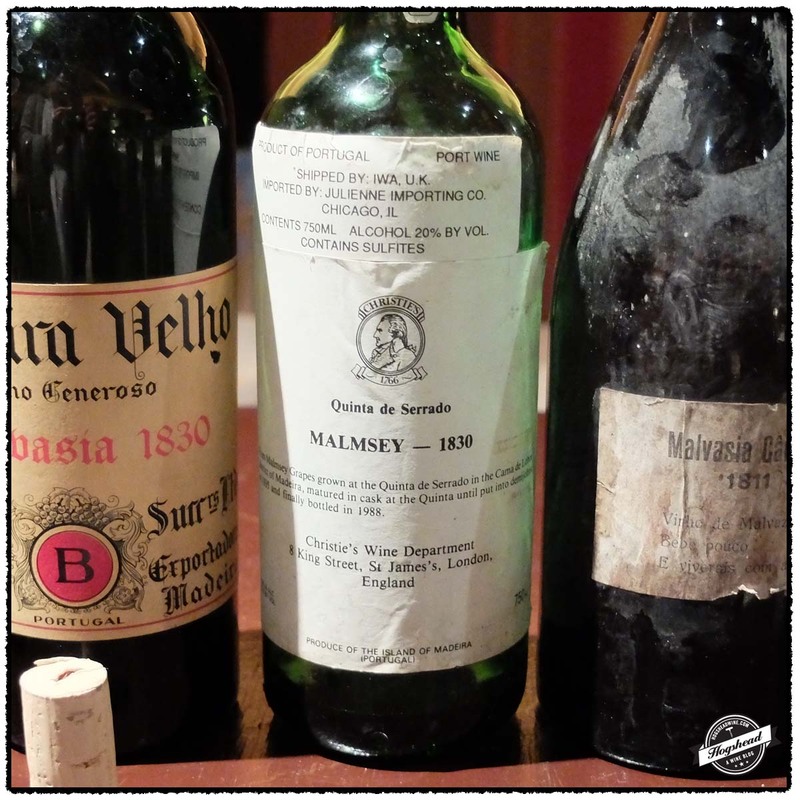 1808 Generally very good, Malmsey best ever known. Sercial fine. 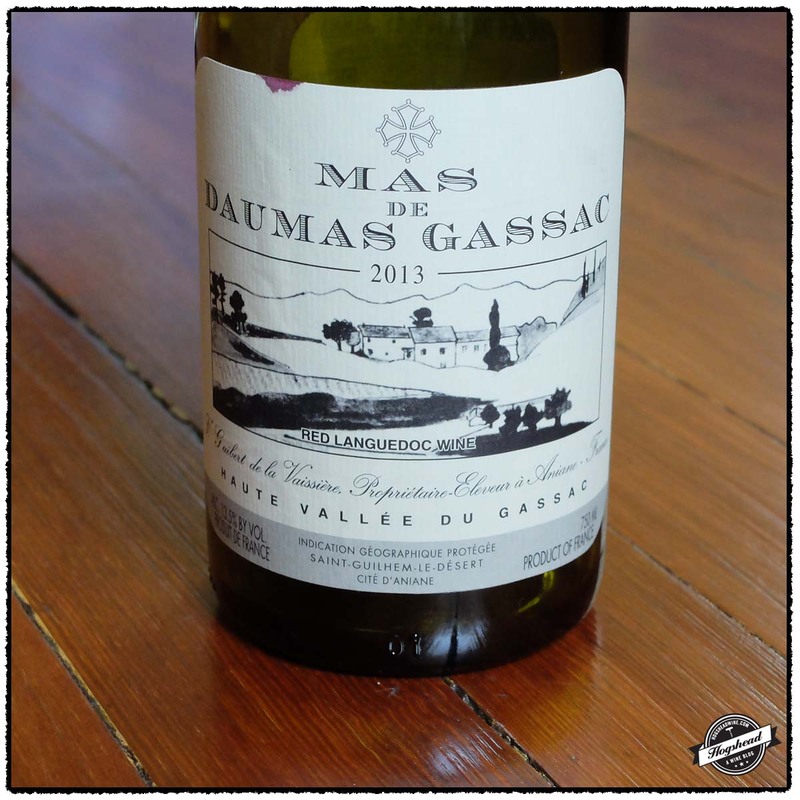 Mas de Daumas Gassac is an important estate for it demonstrated back in the 1970s that serious wine could be made in the Languedoc. 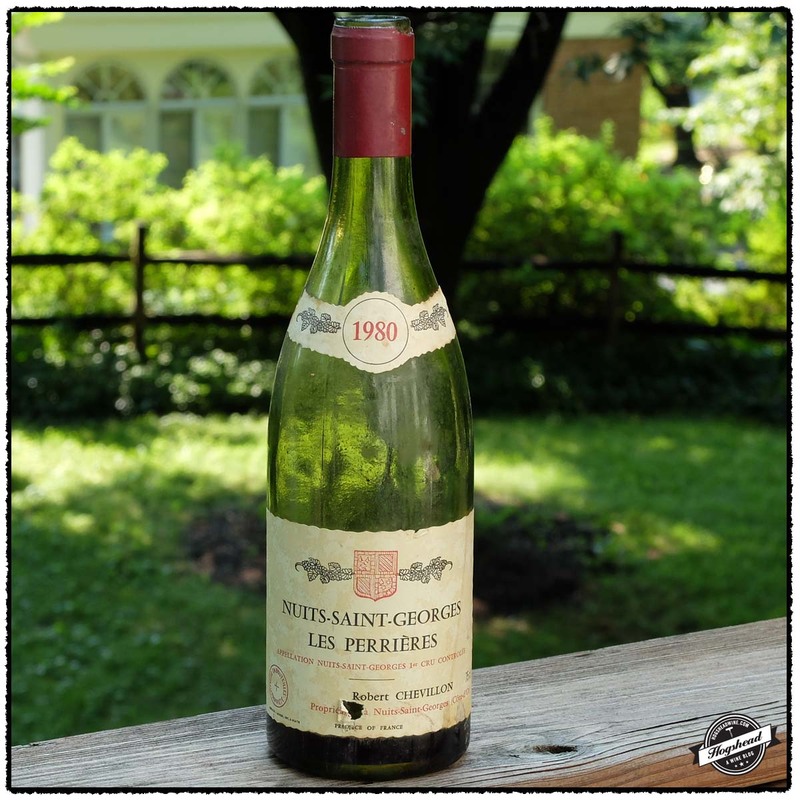 It was purchased in 1970 by Aime Guibert as a family home but when his friend Professor Henri Enjalbert visited, he suggested they make wine. 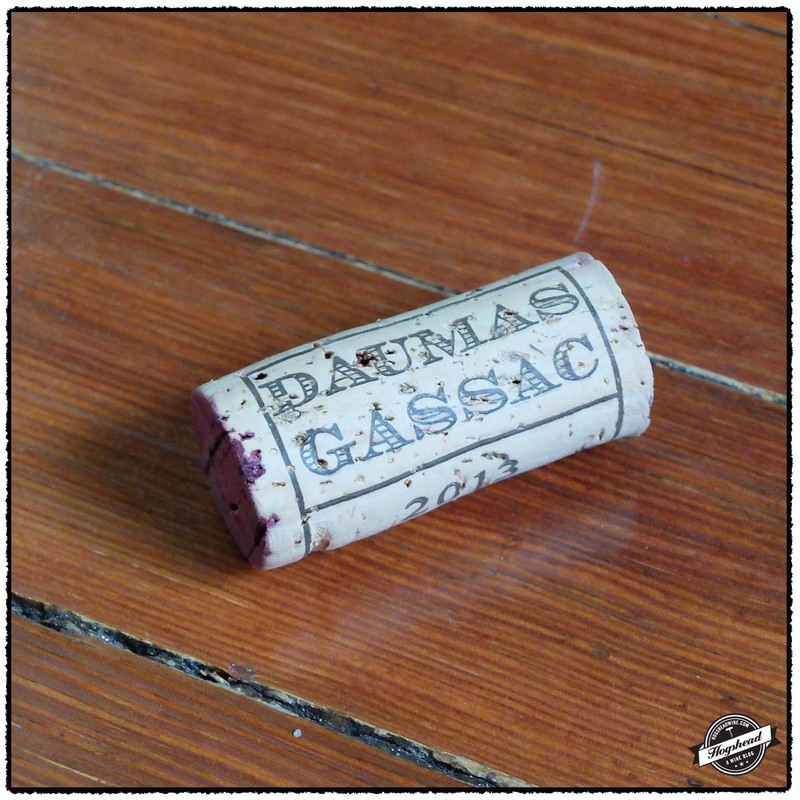 The estate is located in the Gassac Valley where there is a cool microclimate that delays ripening and unique, red glacial soils. The vineyards were immediately planted mostly with Cabernet Sauvignon, many vines of which were sourced from a nursery that purportedly obtained them from Chateau Haut-Brion in the 1930s and 1940s. 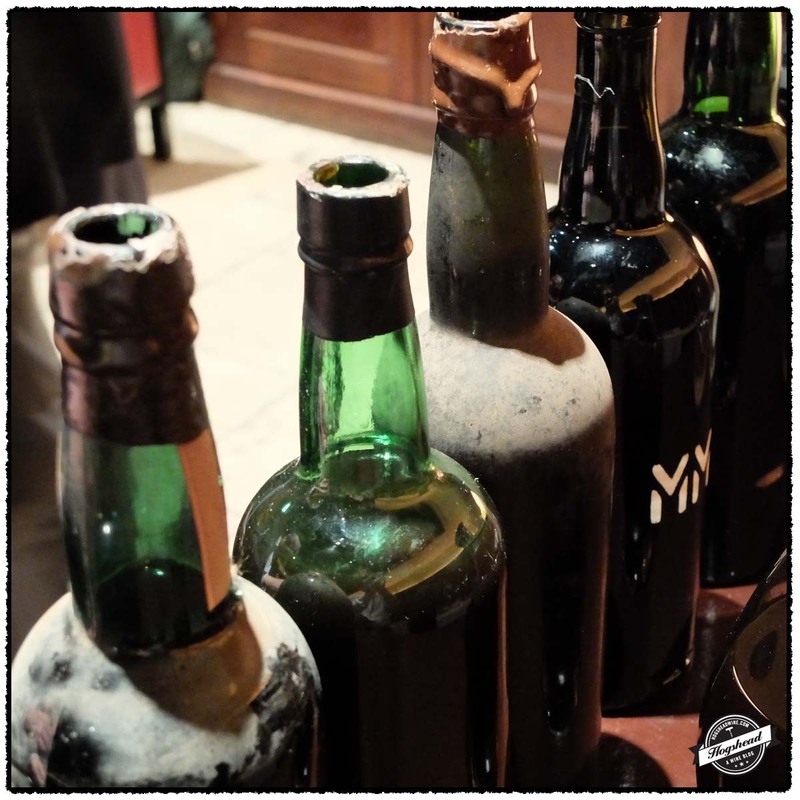 The ties to Bordeaux ran deeper for not only did the famous oenologist Emile Peynaud advise on the first Medoc-based vinification of the 1978 vintage but a portion of it was aged in used barrels from Chateau Margaux and Chateau Palmer. Nearly forty years later this Languedoc Grand Vin is true to its origins and still primarily made from Cabernet Sauvignon. What I remember from my reintroduction to this wine some ten years ago is that it also includes a portion of Pinot Noir. Having drunk only three vintages in recent memory I was pleased to find rounder fruit. This is, though, a generally understated wine with seamless mouthfeel, freshness, and a long aftertaste. 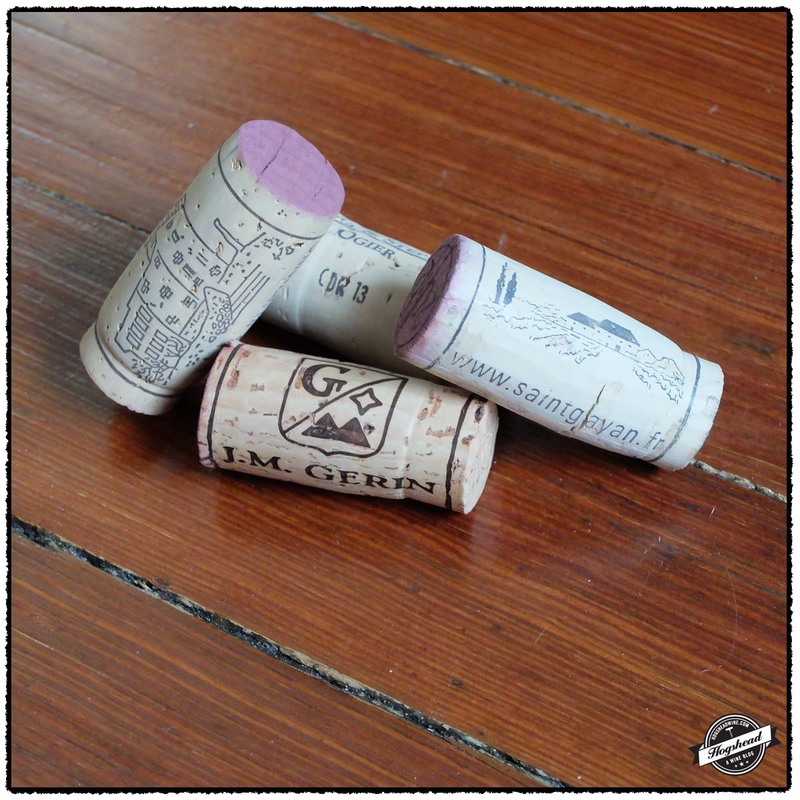 It has those attractive greenhouse flavors from the Cabernet Sauvignon. You may enjoy this wine now but given the price and ability to age, I strongly recommend you lay the wine down for many years. This wine is available at MacArthur Beverages. Imported by Roanoke Valley Wine Company. This wine is a blend of 72% Cabernet Sauvignon, 5% Merlot, 5% Tannat, 5% Petit Verdot, 4% Cabernet Franc, 3% Nebiolo, 2% Dolcetto, 2% Pinot Noir, and 2% Malbec sourced from 25-30 year old vine that was fermented in stainless steel tanks then aged for 13-16 months in mostly used oak barrels. Alcohol 13.5%. The flavors were rounder than I expected with delicate complexity and a modest amount of fresh and drying structure. There are flavors of dried green herbs, some greenhouse, and black tea that are seamlessly integrated with the acidity. With air the wine shows good expansion of flavors followed by an appealingly flavorful, long, and mineral finish with just a touch of heat. ***(*) Now-2030. Just when I felt settled in our new house we moved over the remainder of our storage unit. This final lot of our stuff included significant number of boxes of books…heavy boxes of books. After a day of heavy lifting I am more inclined to drink an inexpensive wine. 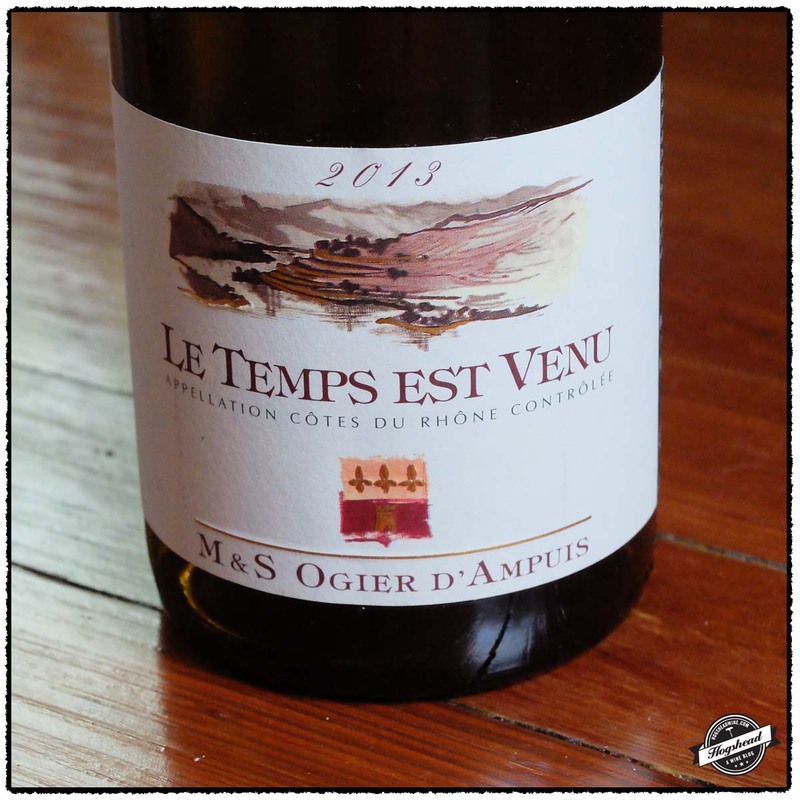 Both the 2013 Domaine Saint Gayan, Trescartes, Cotes du Rhone and the 2013 Domaine Ogier, Le Temps Est Venu, Cotes du Rhone fit this criteria. The Saint Gayan is a softer wine for immediate consumption whereas the Ogier might have a soft presence but it sports meaty complexity. 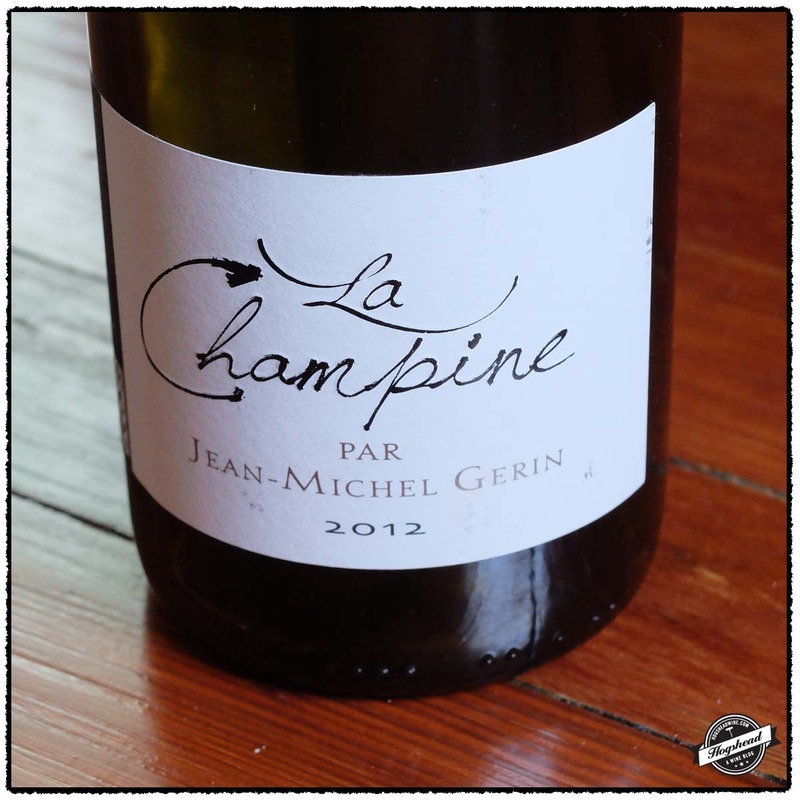 The 2012 Jean-Michel Gerin, La Champine, IGP Collines Rhodaniennes is ideal for the day after hauling boxes. 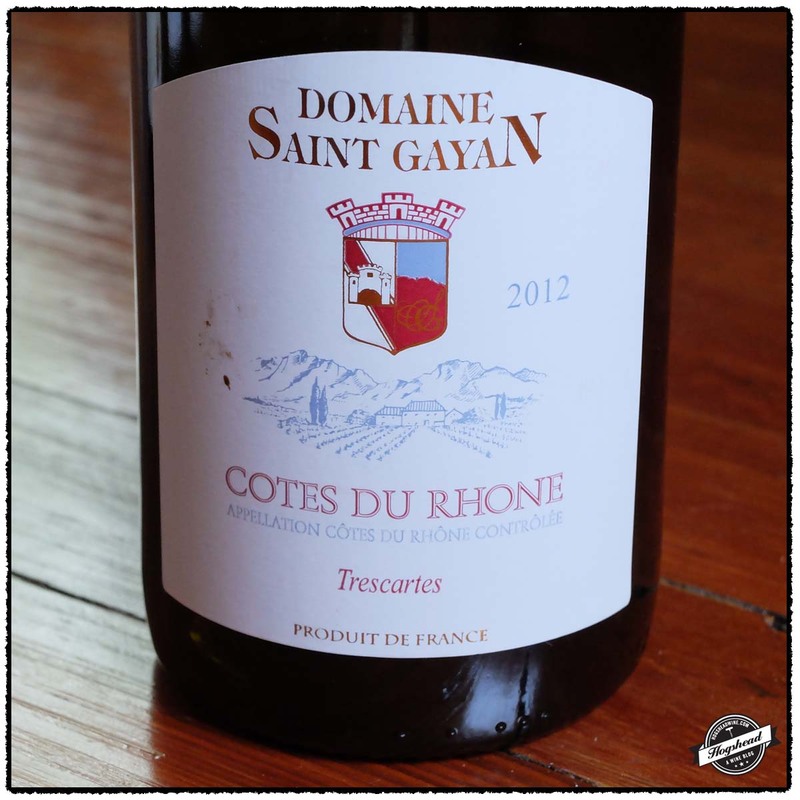 This northern-Rhone Syrah offers ethereal bloody and earthy flavors that will remain attractive for many years. While drinking these three forward wines you could let the 2012 Domaine Notre Dame des Pallieres, Les Mourres, Gigondas age. 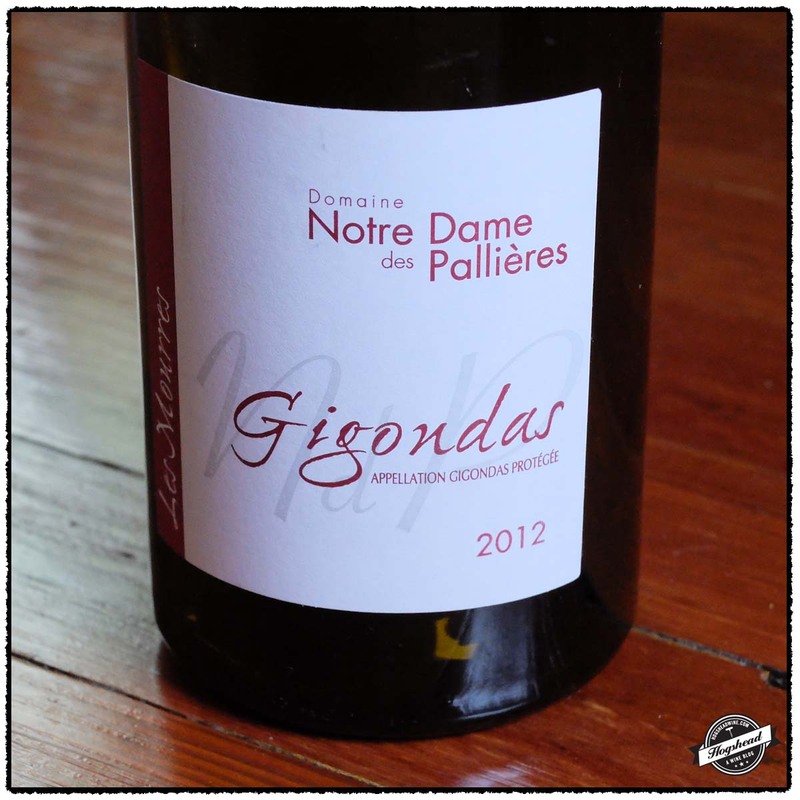 This is a bright, clean Gigondas with an attractive racy core of flavor. 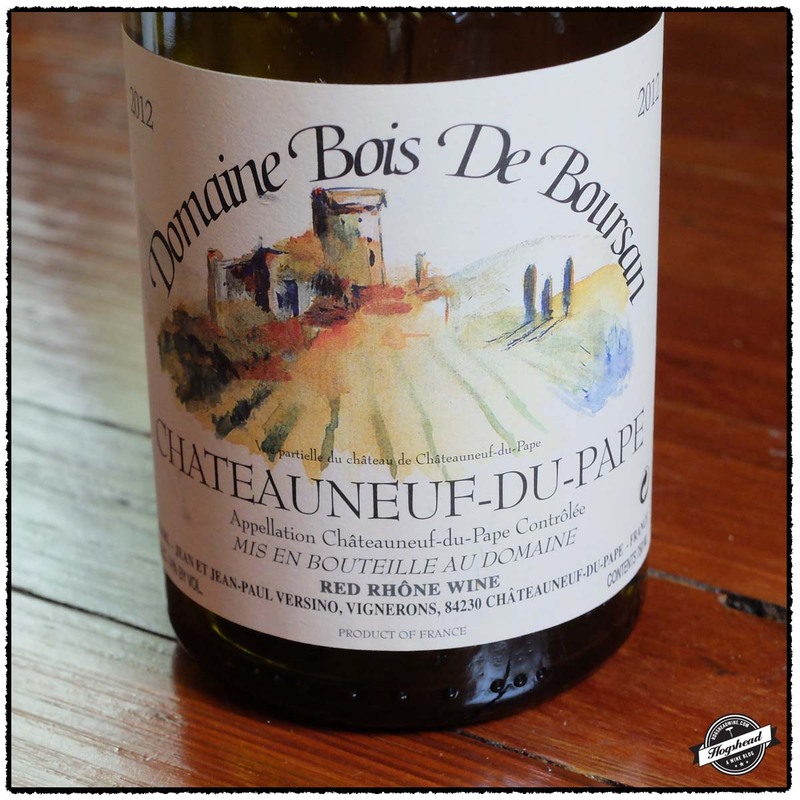 The southern warmth has made the 2012 Domaine Bois De Boursan, Chateauneuf du Pape a wine to enjoy now. At first, I even wondered about the need to cellar this wine but with air additional complexity comes out including the sense of structure. This then, might be a wine for all ages. These wines were purchased at MacArthur Beverages. Imported by Europvin. This wine is a blend of 65% Grenache, 25% Syrah, and 5% Mourvedre sourced from 50 year old vines that was aged in cement vats. Alcohol 14%. The flavors quickly become soft with the faintest hint of structure and dry, cola-like flavors in the middle that were moved along by watering acidity. There were cinnamon notes in the finish and some tannins left on the gums. ** Now-2017. Imported by Robert Kacher Selections. This wine is a blend of 90% old vine Grenache and 10% Syrah and Mourvedre that was fermented and aged in concrete vats. Alcohol 14%. The nose bore red fruit and berries. In the mouth were meaty hints of flavor in a soft structure that came out with air. There were orange-cream flavors mixed with minerals, and a drying black structure by the finish. **(*) Now-2018. Imported by Esprit du Vin. This wine is 100% Syrah that was aged for 12 months in old oak barrels. Alcohol 12.5%. The subtle nose bore some pepper. In the mouth were some bloody, ethereal and earthy flavors that mixed with more substantive fruity and tart black notes. Already showing good, complex flavors, this wine will develop over the short-term. The flavors showed mid palate bloom with ethereal structure and watering acidity. *** Now-2022. Imported by Exclusive Wine Imports. This wine is a blend of 80% Grenache, 10% Syrah and 10% Mourvedre. Alcohol 15%. The nose bore fresh citrus and perfume. In the mouth were weighty, ripe, black fruit with a racy core and acidity. The wine leaned towards the dry and tart side of the spectrum. The flavors taste like young fruit in this young, clean, bright Gigondas. With extended air it developed some creamy, blue fruit. **(*) 2017- 2025. Imported by MacArthur Liquors. This wine is a blend of Syrah, 15% Mourvedre, and 5% other including Counoise, Cinsault that was aged for 18 months in large barrels. Alcohol 14%. 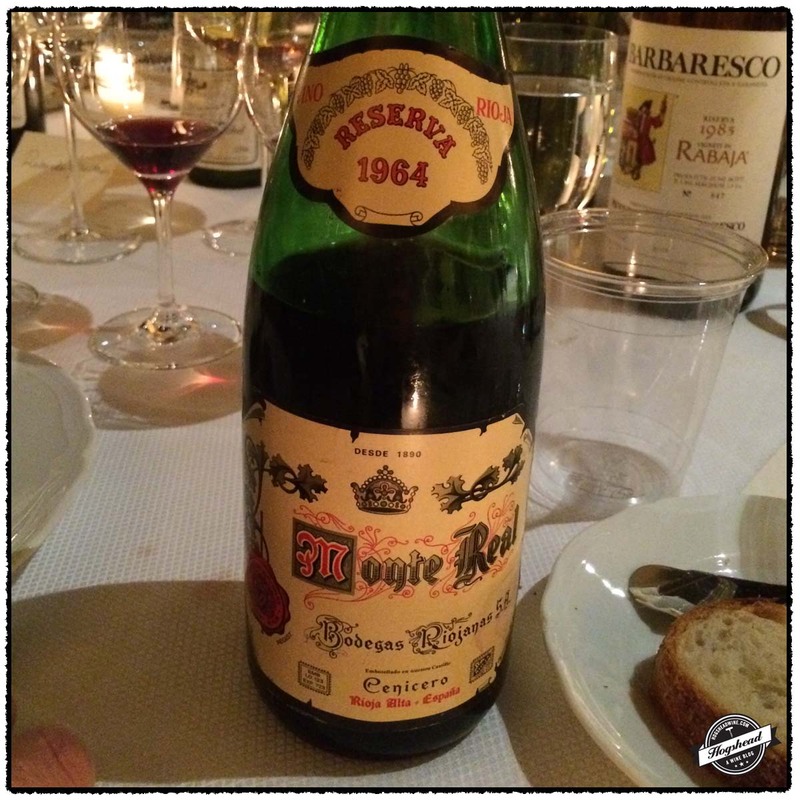 The nose bore red fruit and aromatic spices. In the mouth was a slightly dense start of cool and spiced, dry flavors of red fruit and cherry. The wine took on more blue and black fruit in the finish which had a dry, cinnamon flavored structure and a fresh, grippy end. With air midpalate complexity came out as did minerality and watering acidity. ***(*) Now-2025. 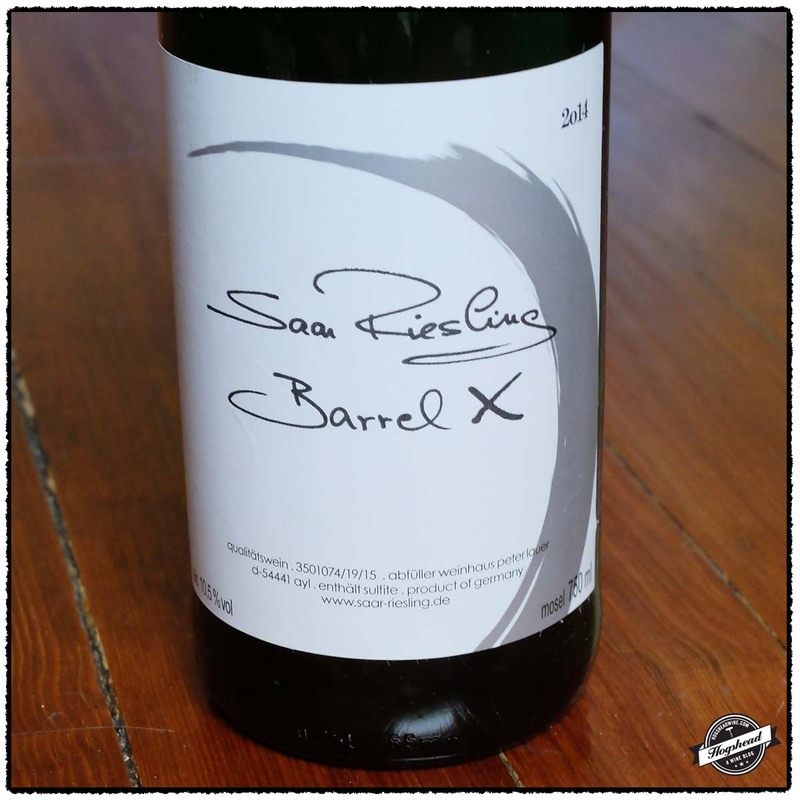 It is true that I have not written about Peter Lauer’s Barrel X Riesling since the 2010 vintage. Let me correct this absence by immediately recommending you pick up several bottles of the 2014 Peter Lauer, Barrel X Riesling, Saar. This vintage sports the same attractive combination of minerality, citrus, and lively personality from its top-notch acidity. I would not say this is a bone dry wine for those who are curious. Incredibly, the wine has dropped $1 in price compared to the 2010 vintage! I have personally seen two bottles to the end so again, I recommend you grab this outstanding value. This wine is available at MacArthur Beverages. A vom Boden selection imported by T. Elenteny Imports. This wine is 100% Riesling. Alcohol 10.5%. 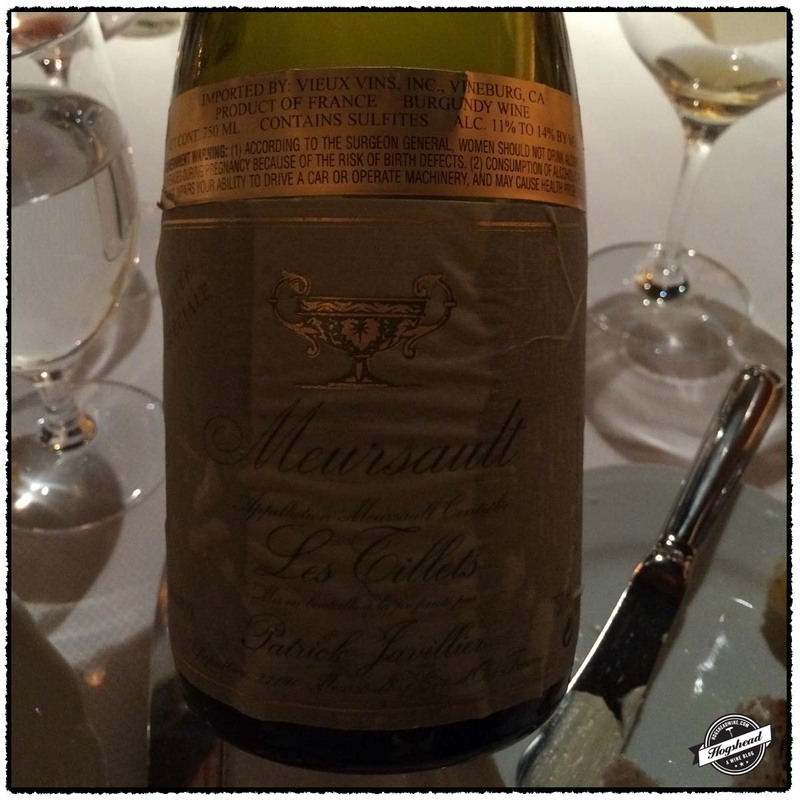 The wine was lively on the tongue with immediate flavors of chalky, white, citrus fruit. The wine quickly picked up complex spices before the mouth filling finish that leaves a long, ripe and textured aftertaste. A real treat. *** Now-2017. 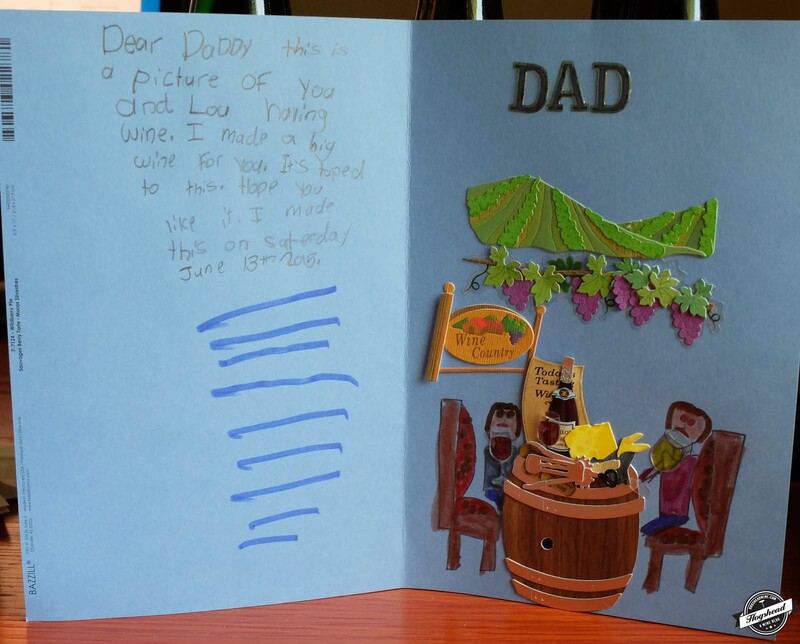 My Father’s Day card is just too precious not to share.